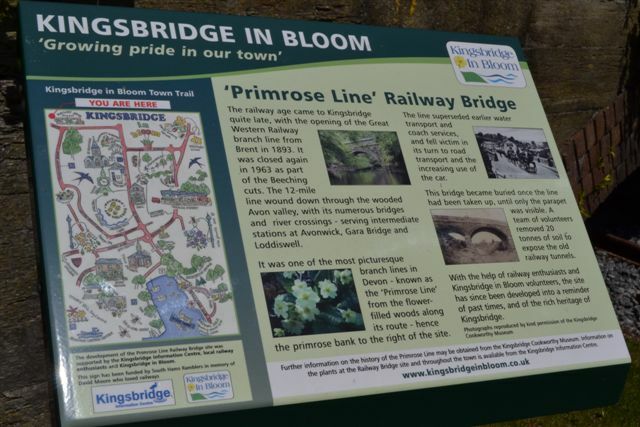 For more information please contact Aidan Hall on his web site Click here www.kingsbridge-branch.co.uk. 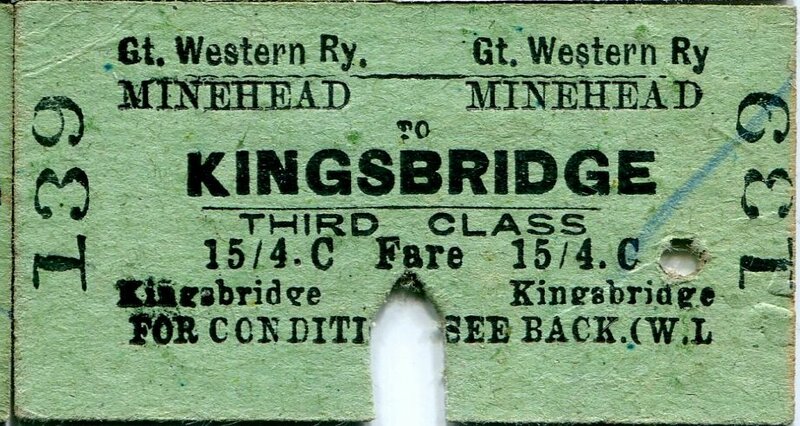 The timetable for the last week of operation of the Kingsbridge branch. 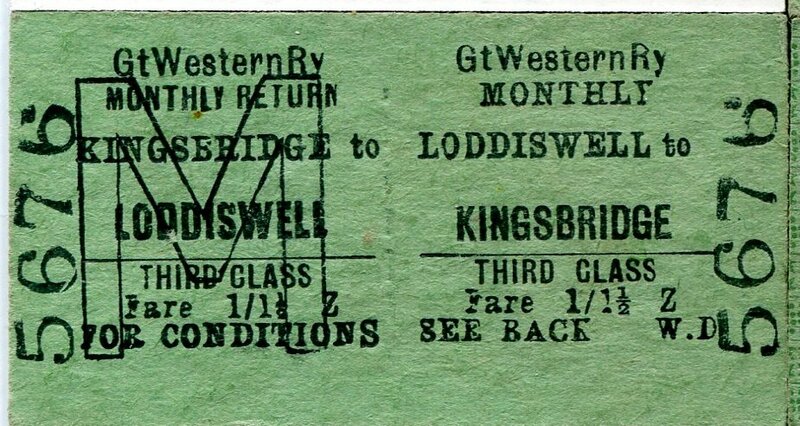 For some strange reason * it appears that although the summer timetable ceased operation for the rest of the Western Region that the branch closure was delayed by one week into the winter period and a summer service was operated for that last week! 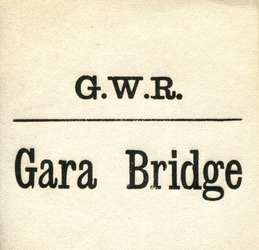 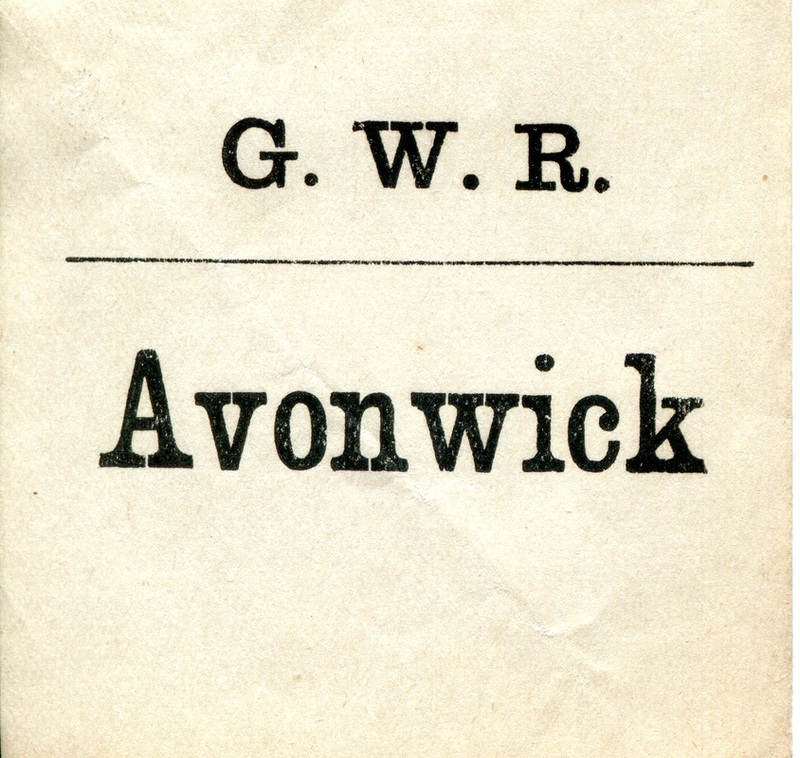 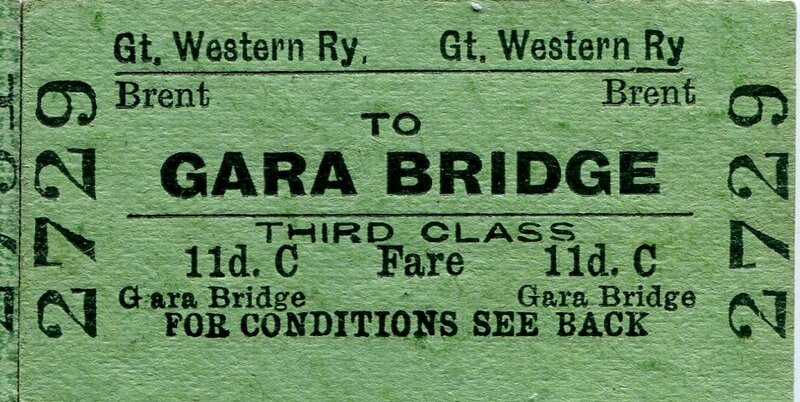 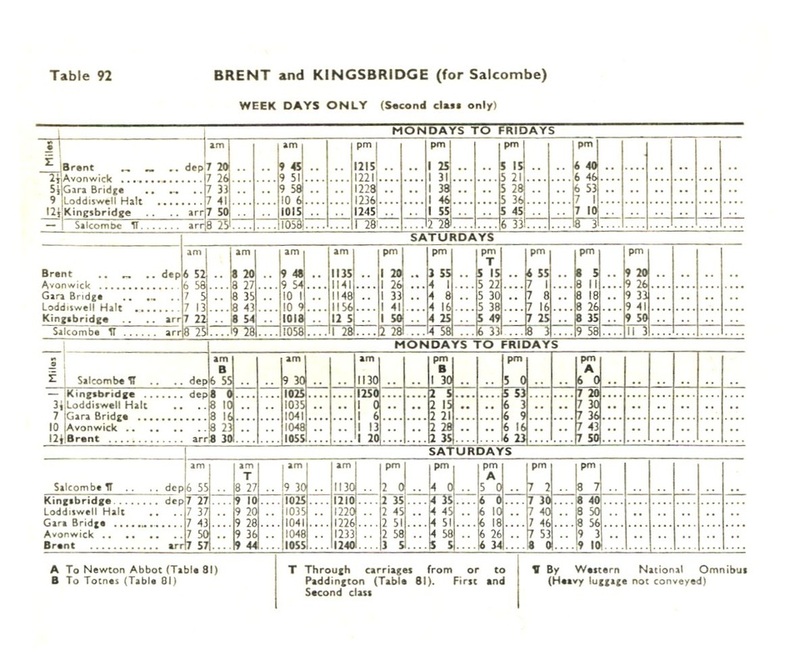 Timetable from the Mike Roach collection. 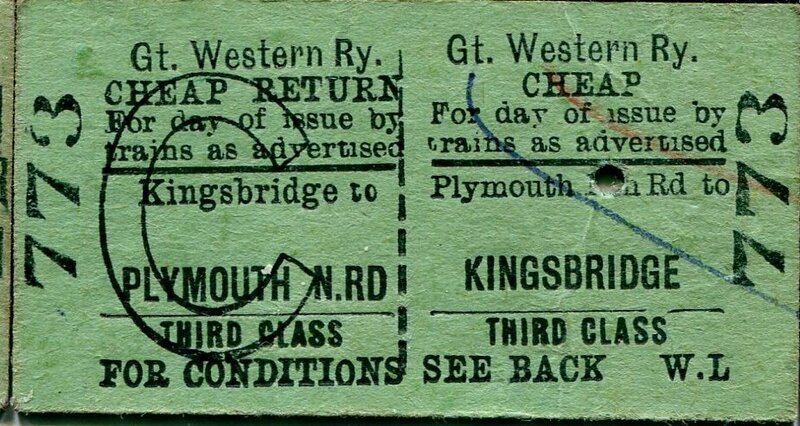 * Charles Fennamore tells us that Kingsbridge failed to close at the end of the summer timetable because of problems with the bus licences. 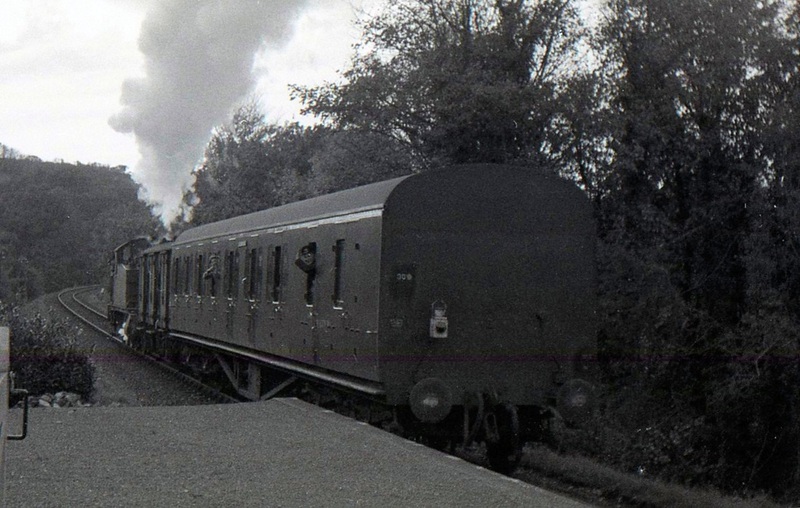 5573 at Brent - the 12.24 to Kingsbridge 6th November 1959, consisting of one parcels van and one non-corridor coach. 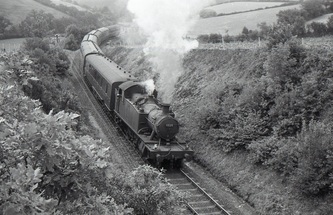 Copyright Mike Roach. 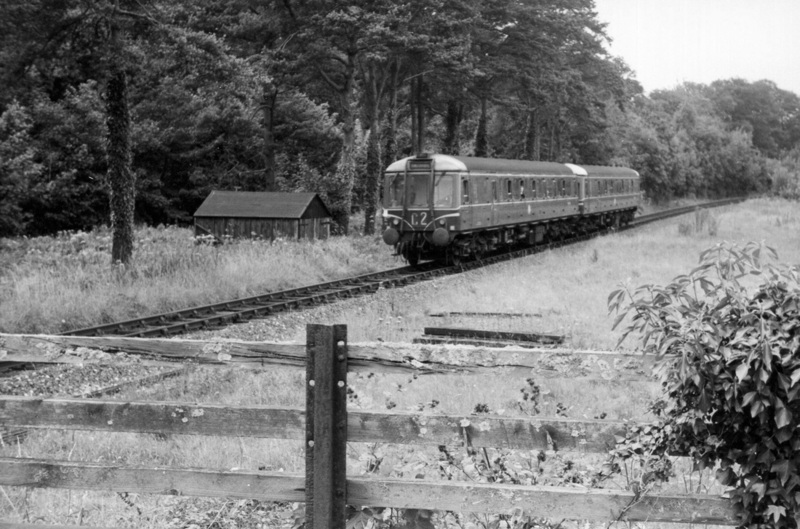 Two for the price of one, a bubble car leads a two car set off the Kingsbridge branch and into Brent station and at the same time a parcels train headed by 5954 gets the board to pull out of the down loop, a fascinating study of activity caught by Mike Roach. 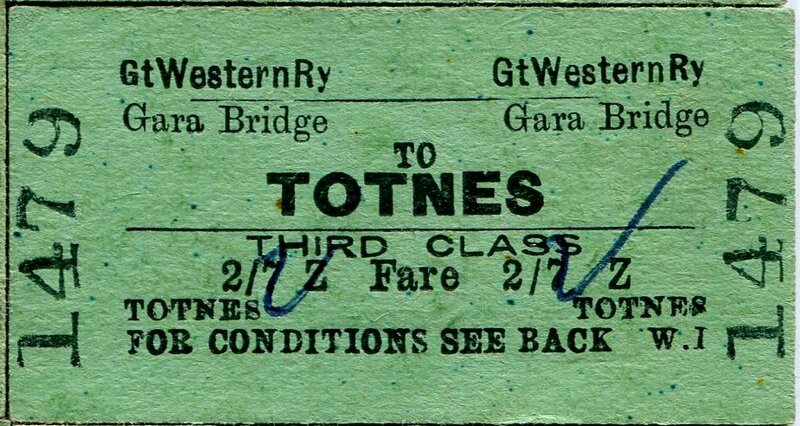 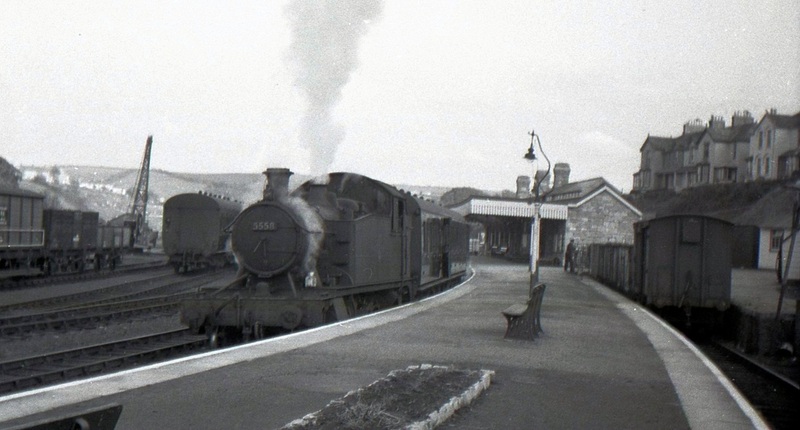 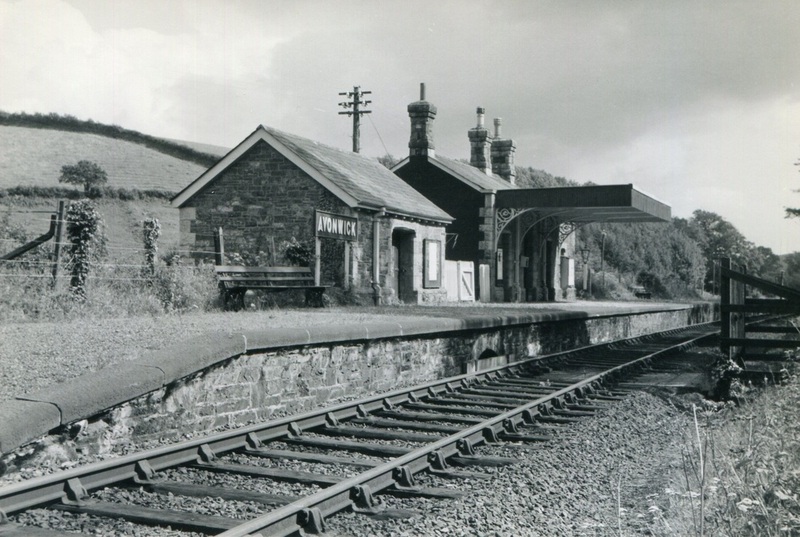 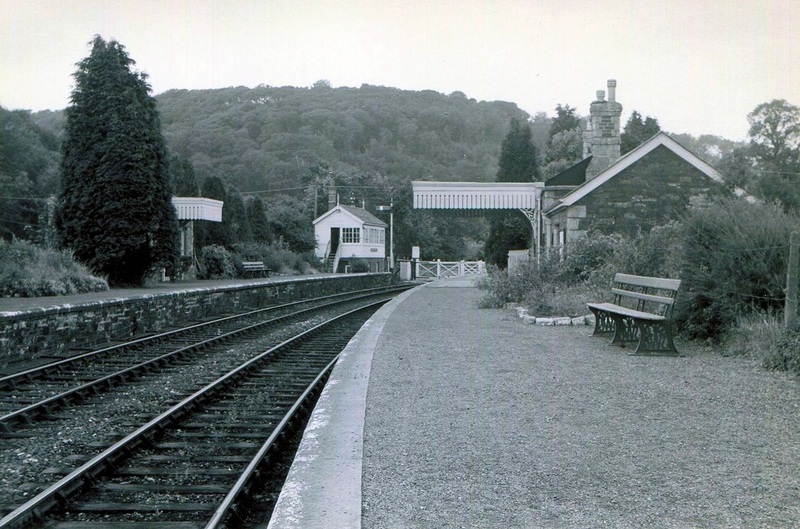 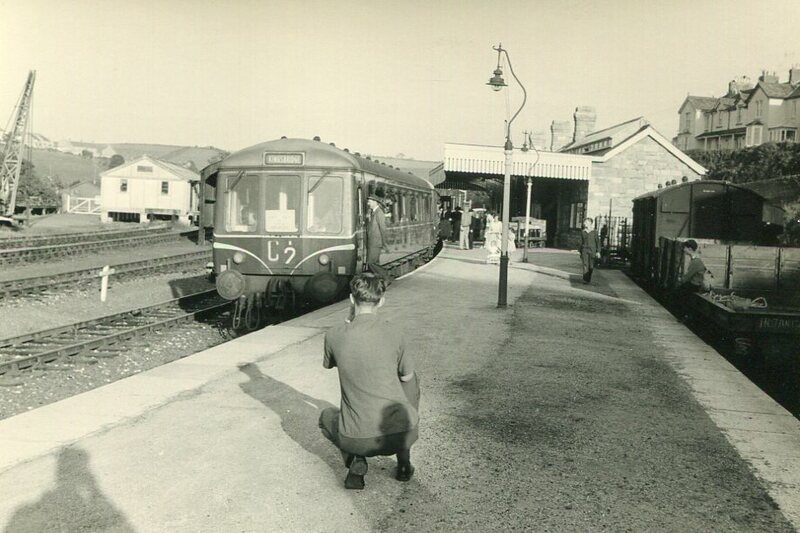 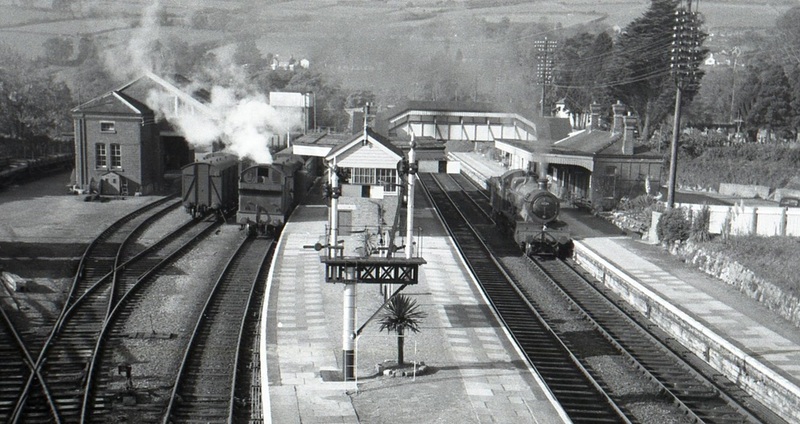 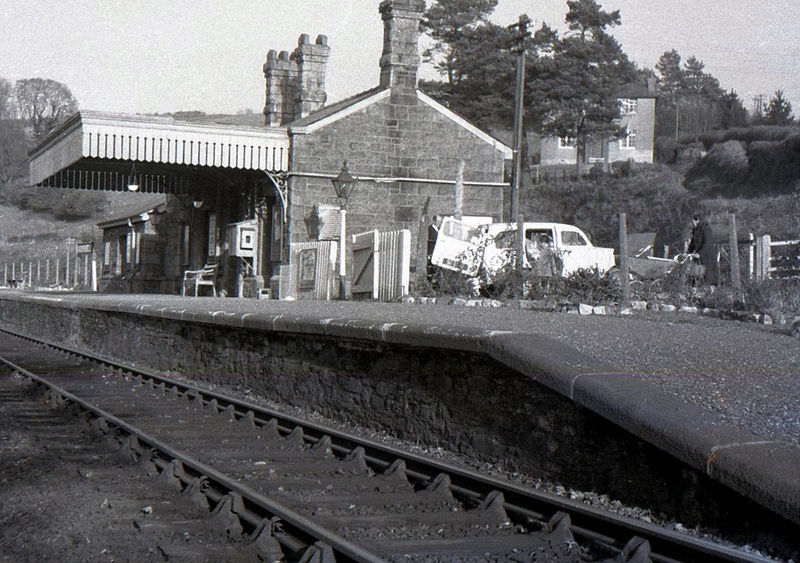 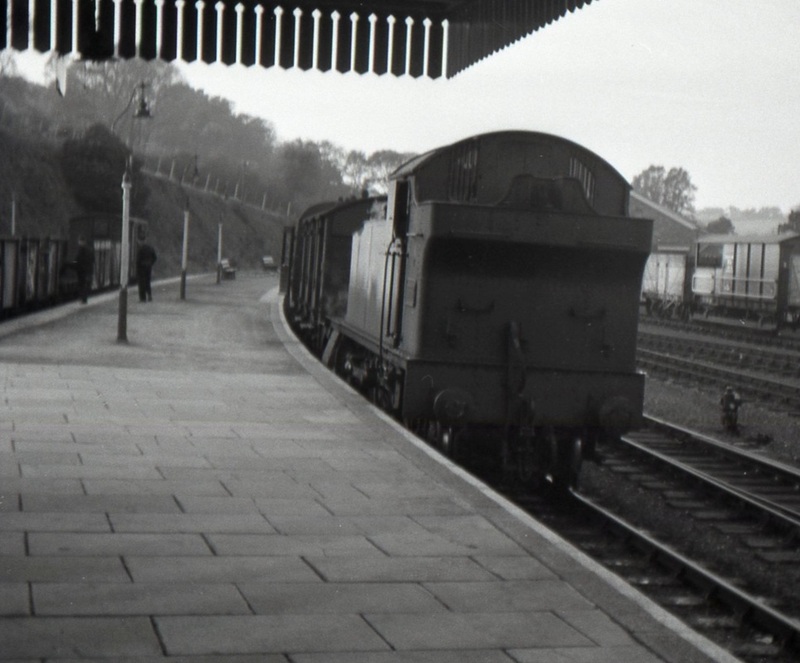 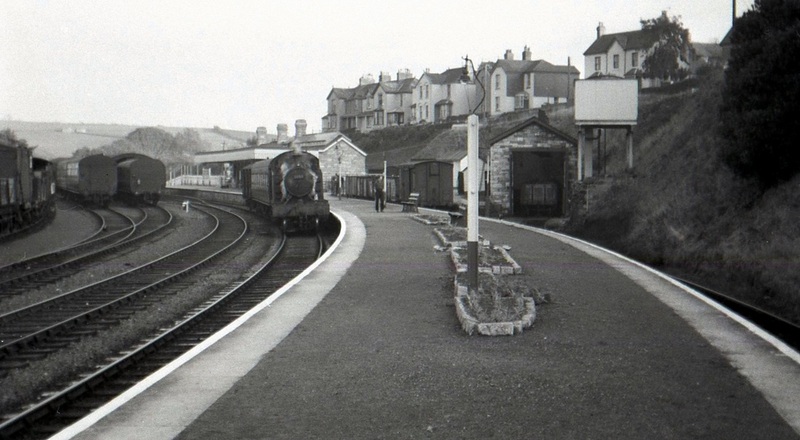 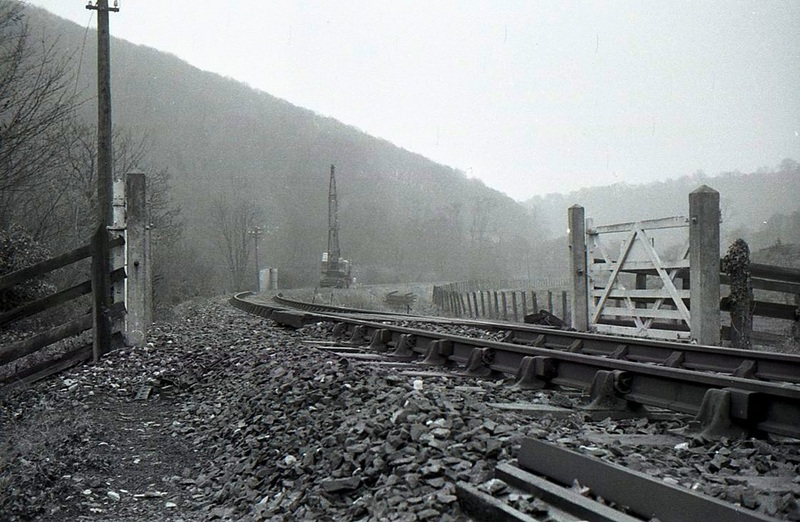 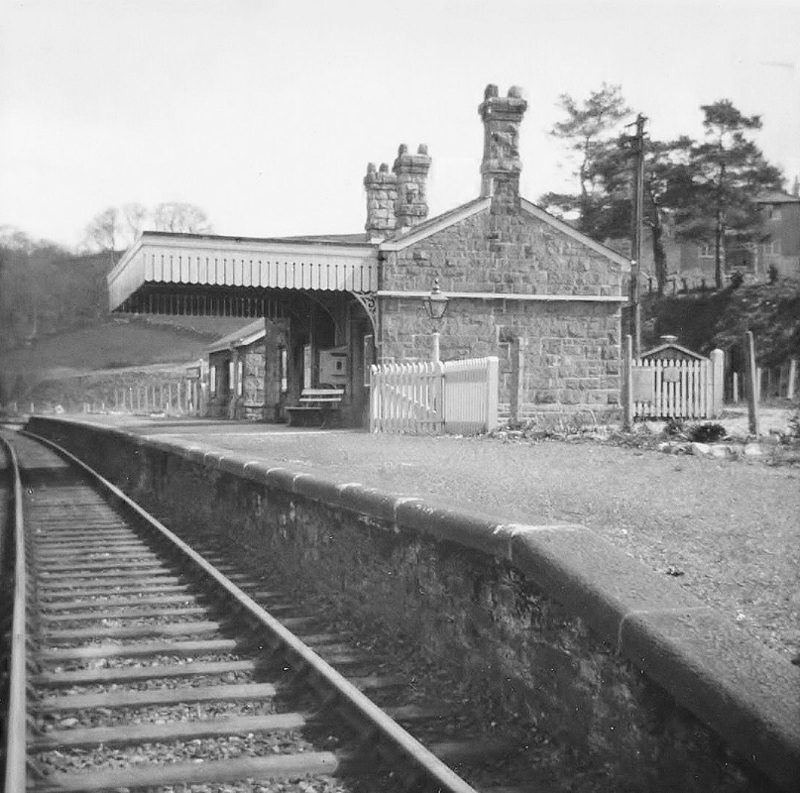 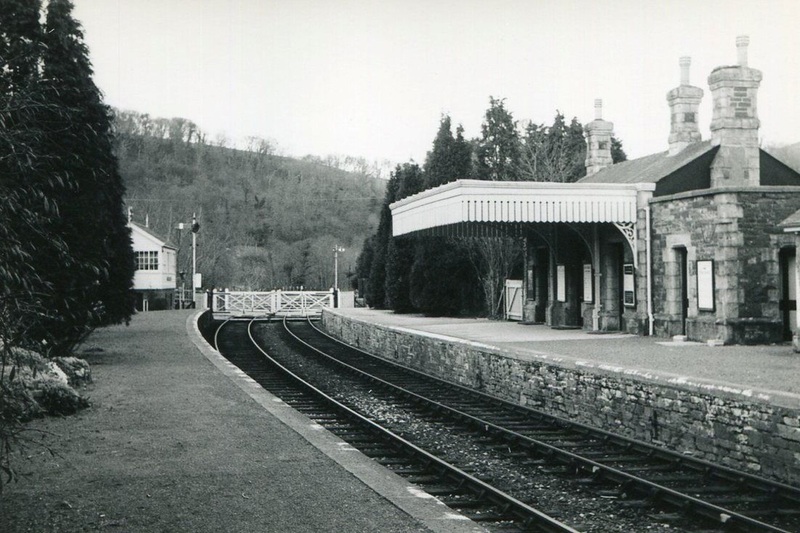 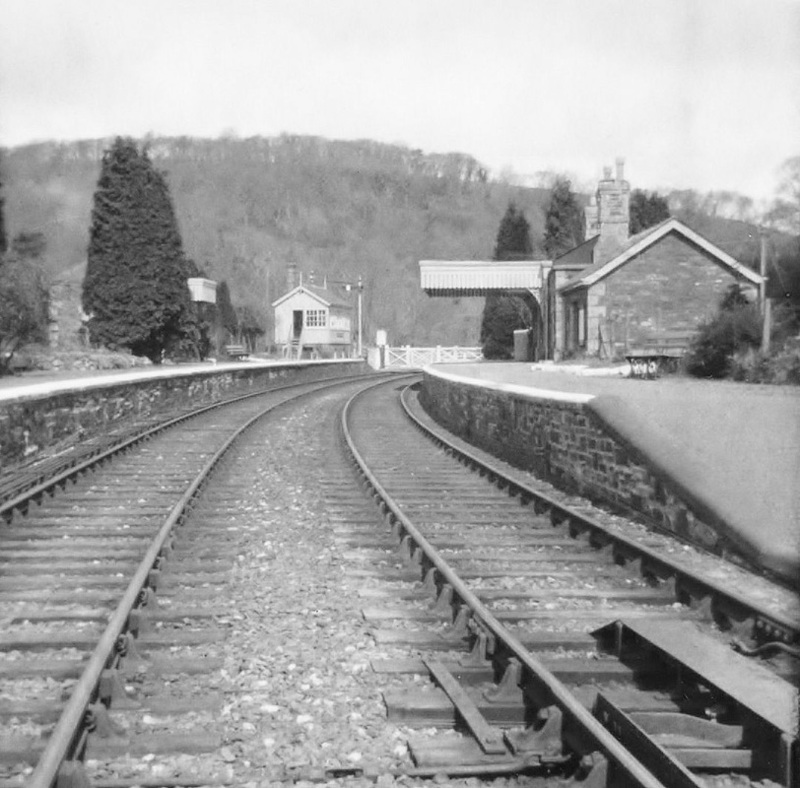 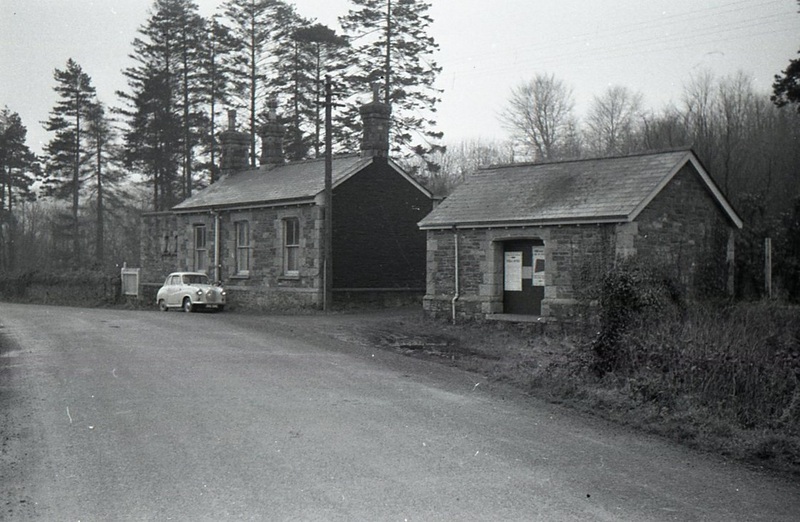 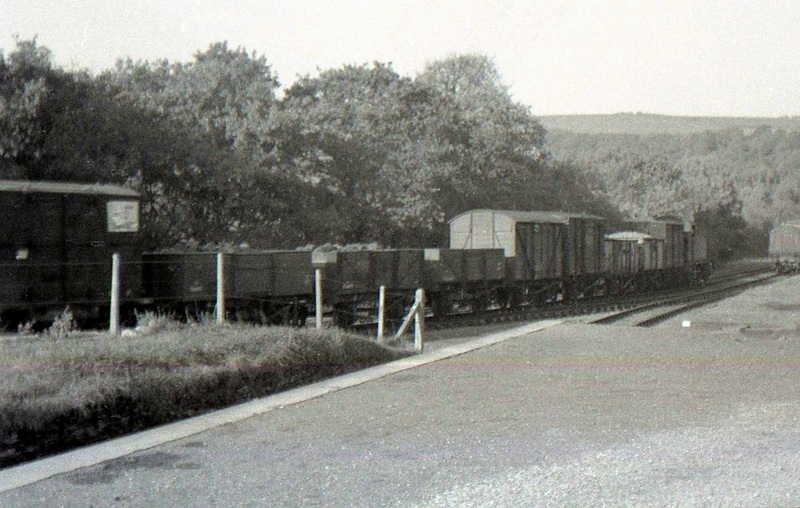 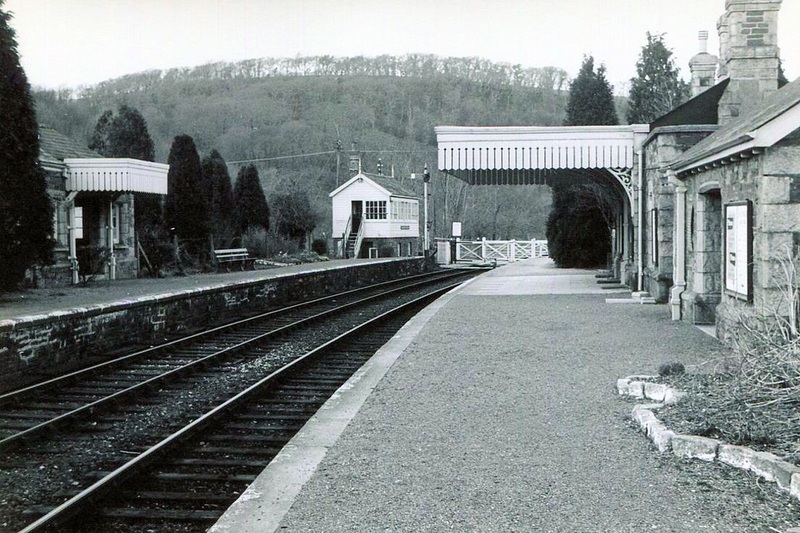 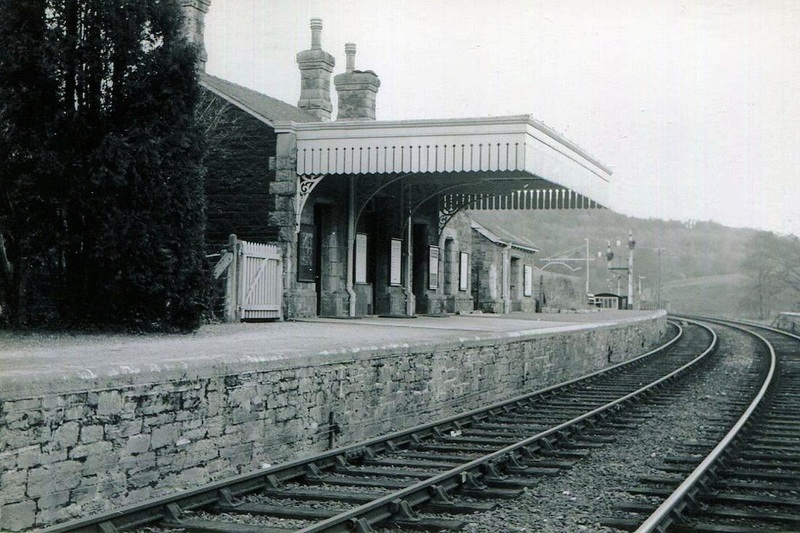 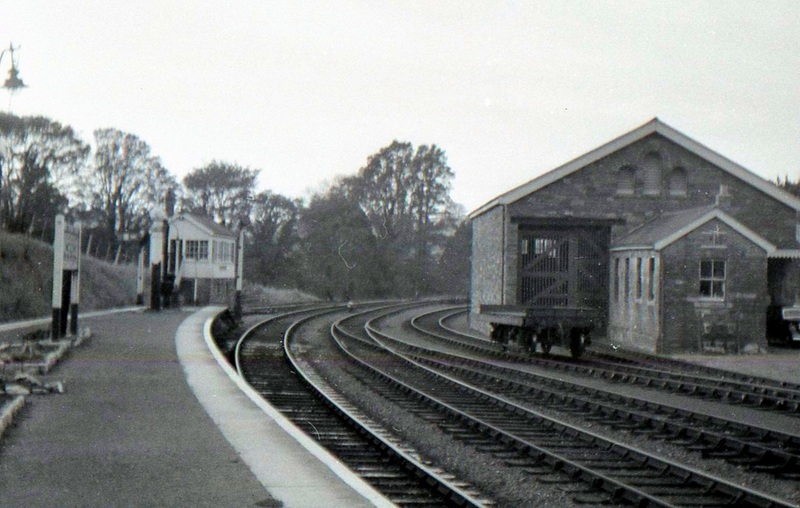 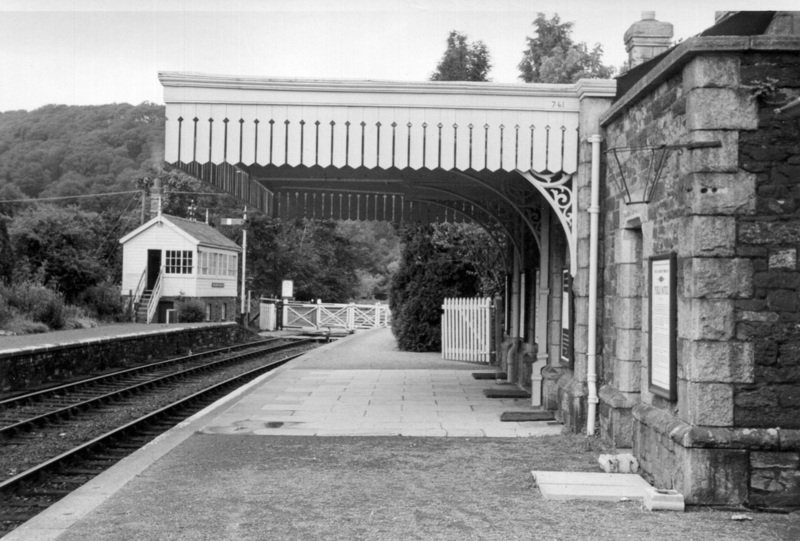 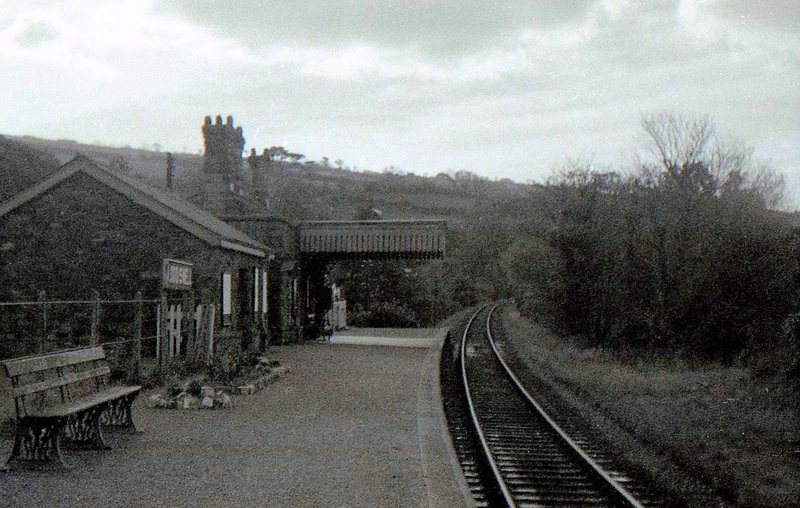 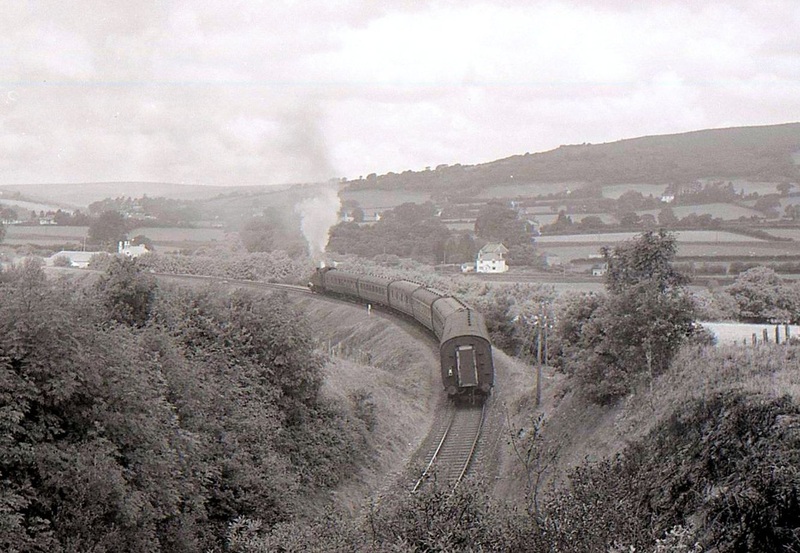 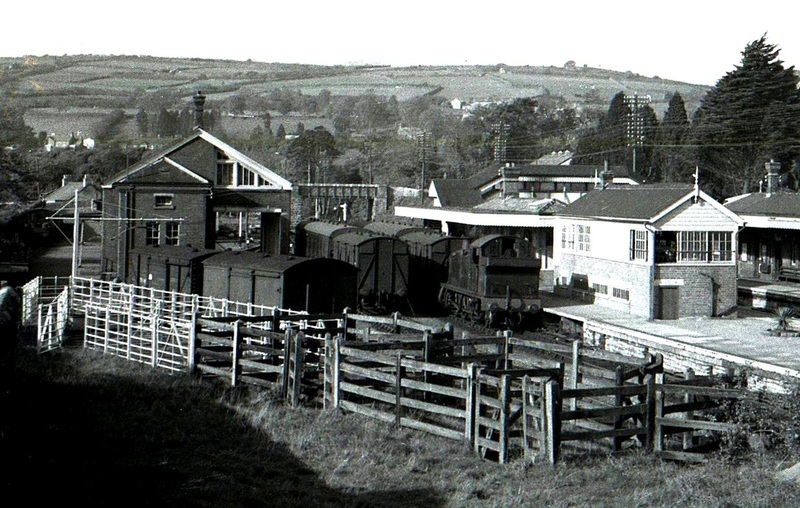 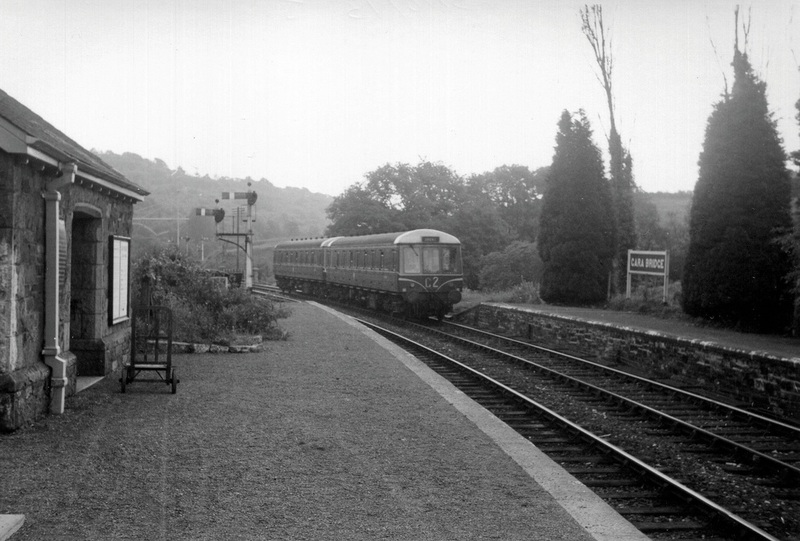 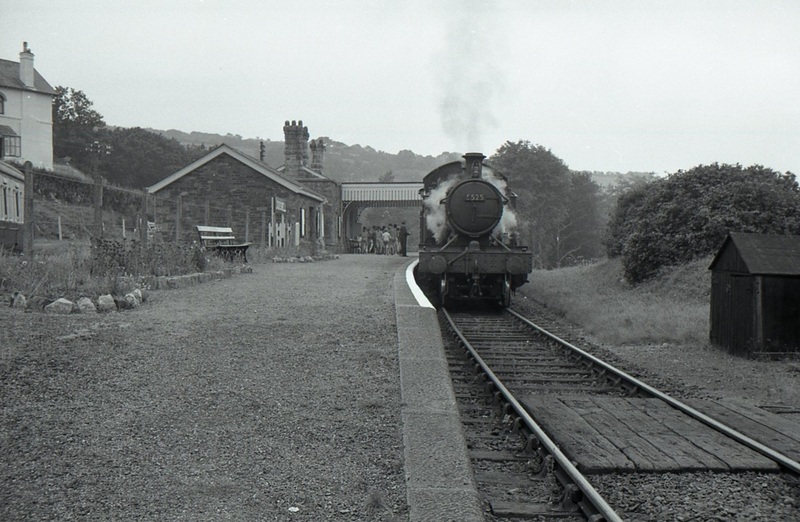 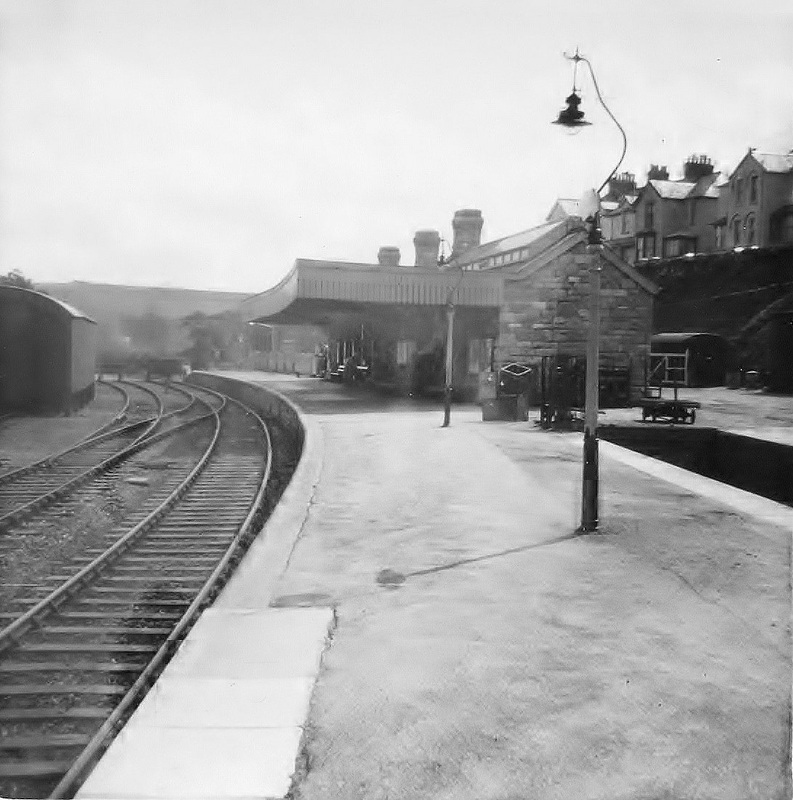 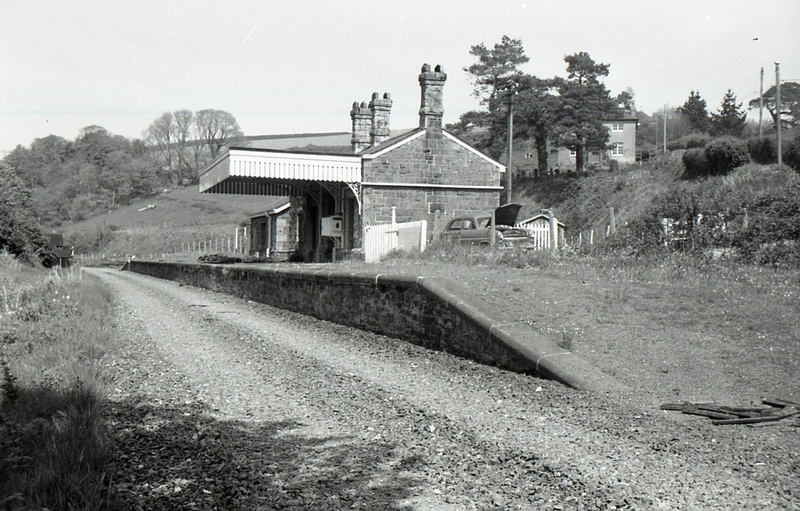 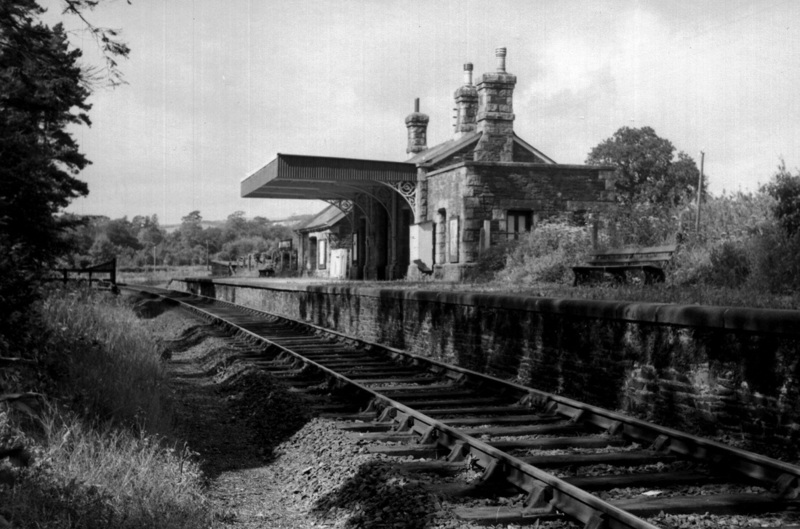 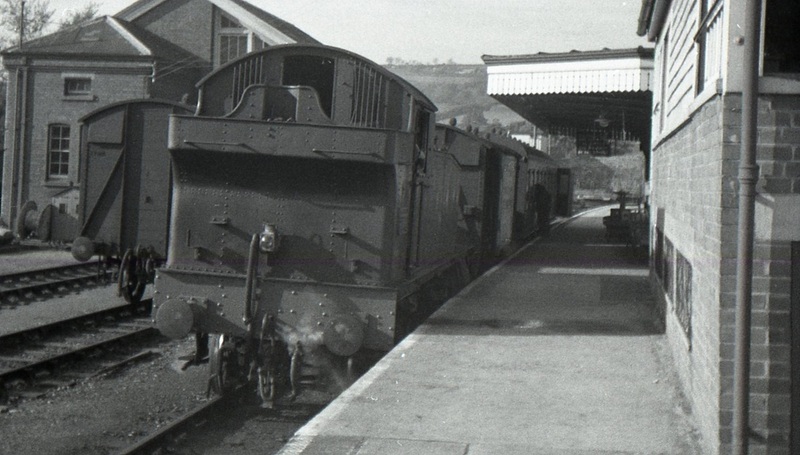 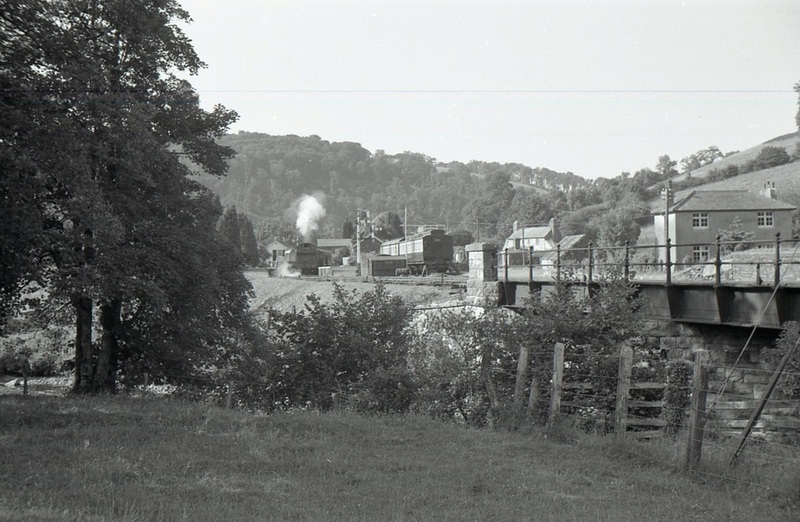 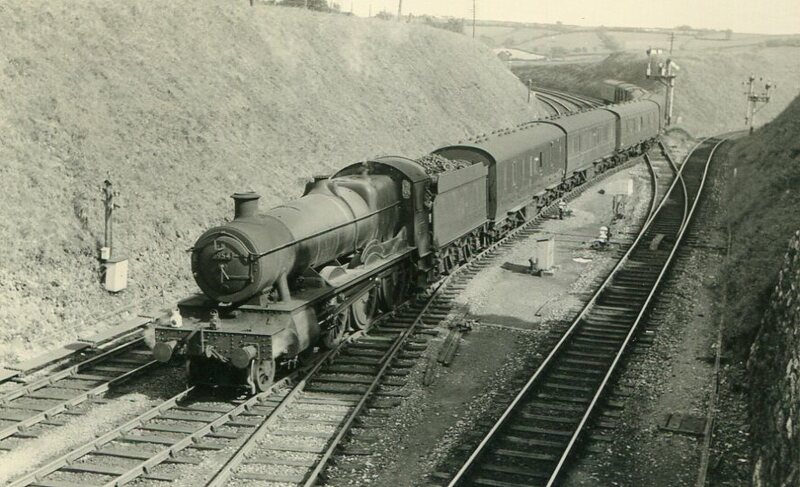 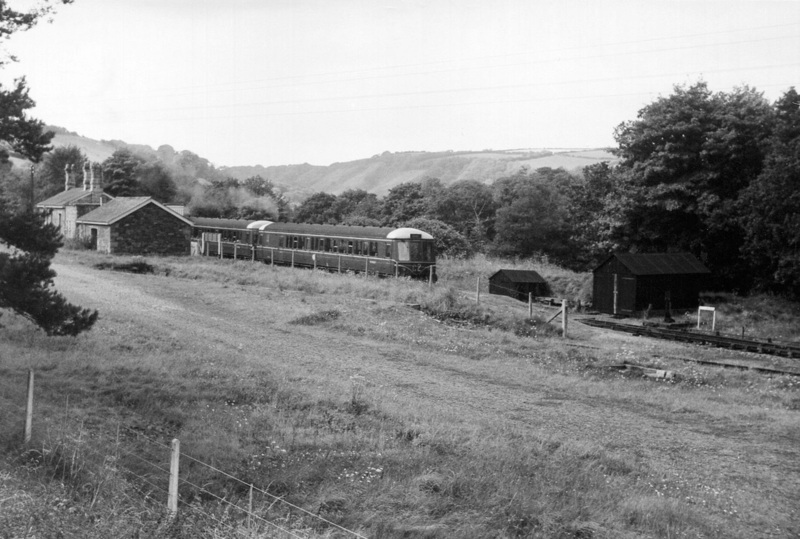 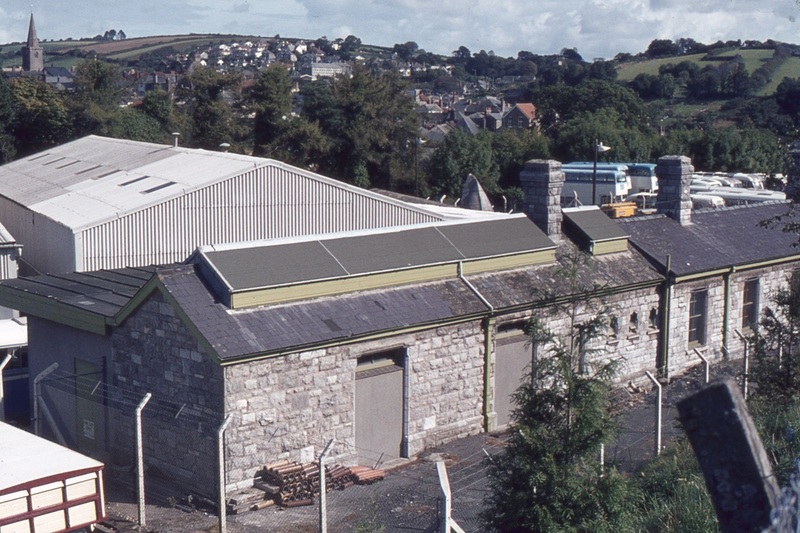 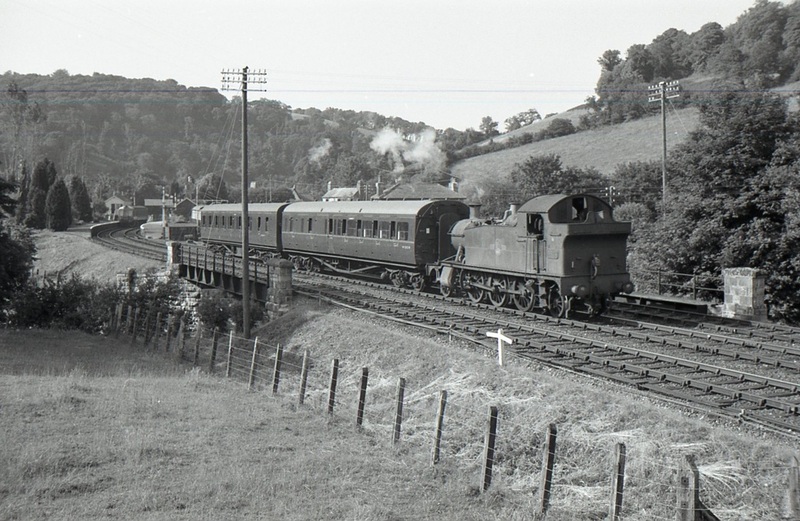 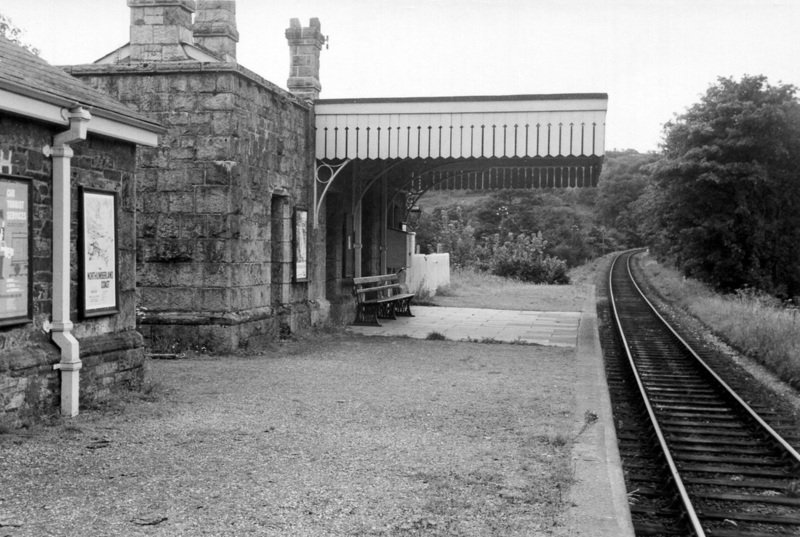 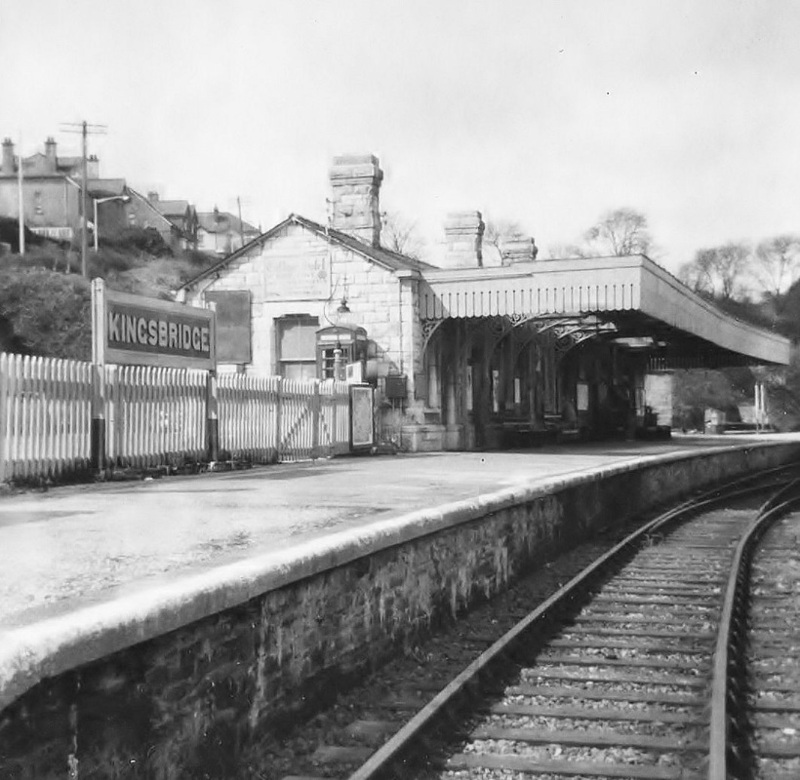 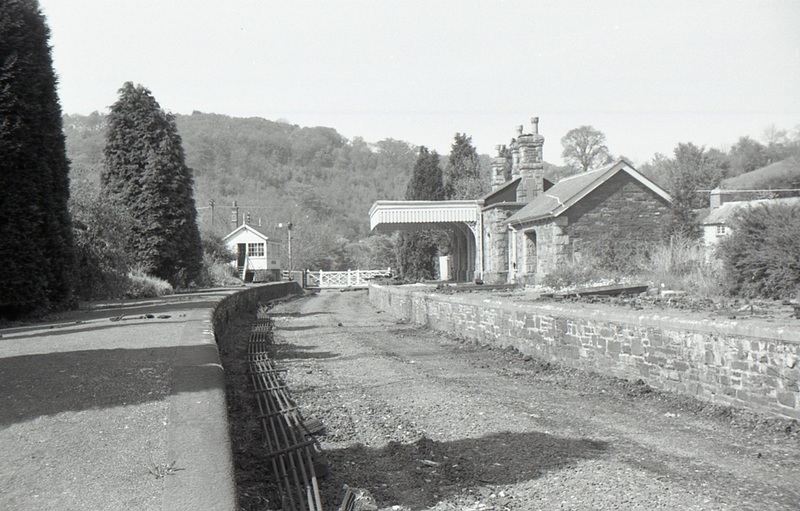 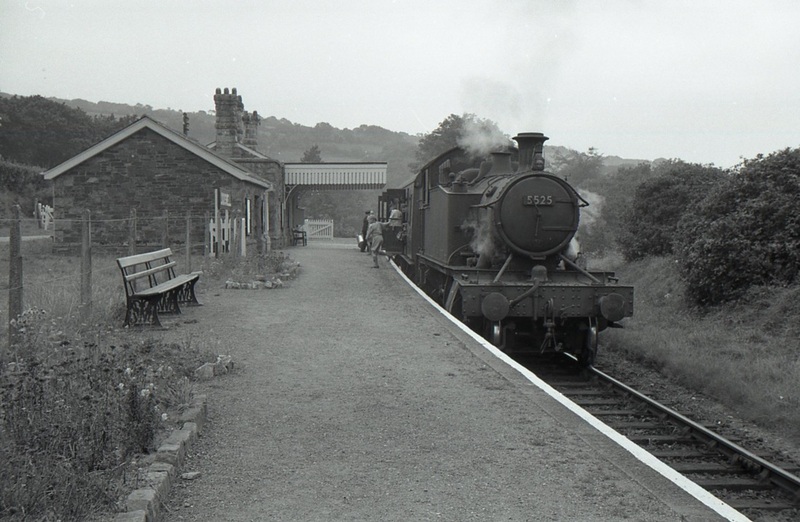 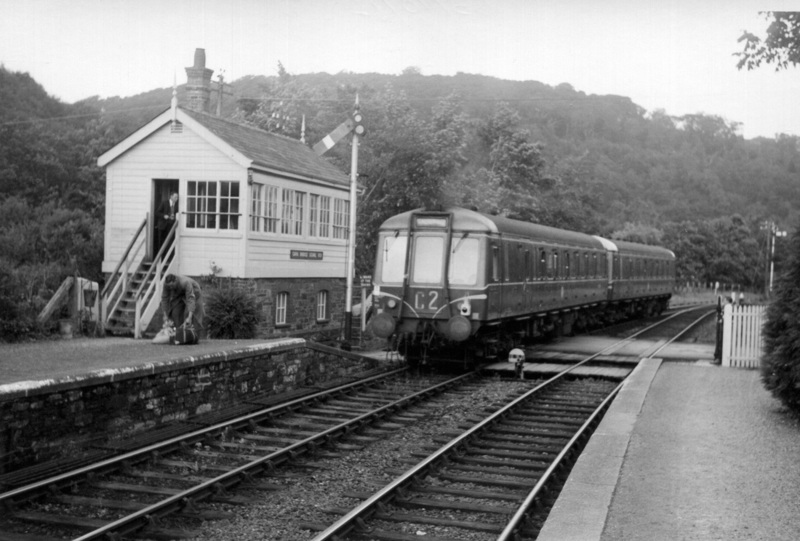 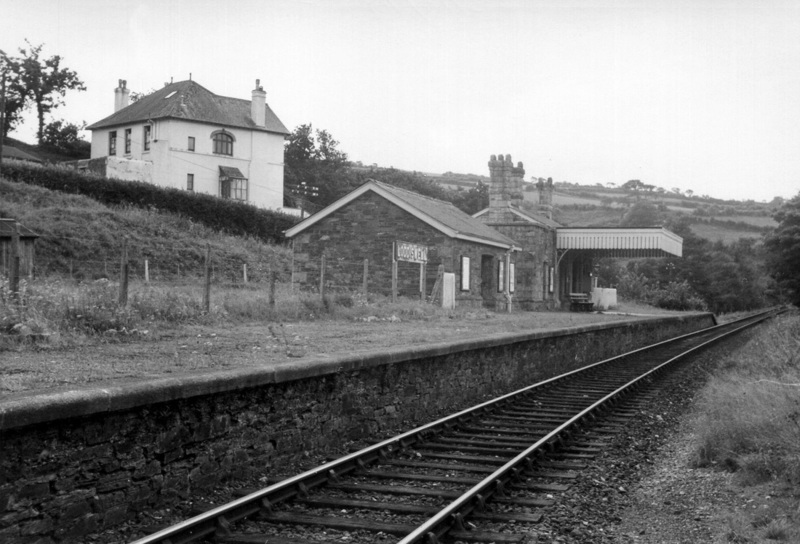 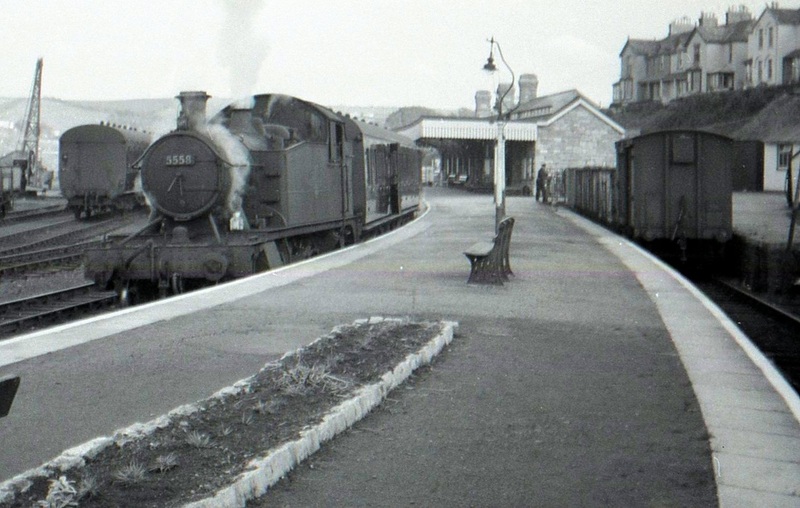 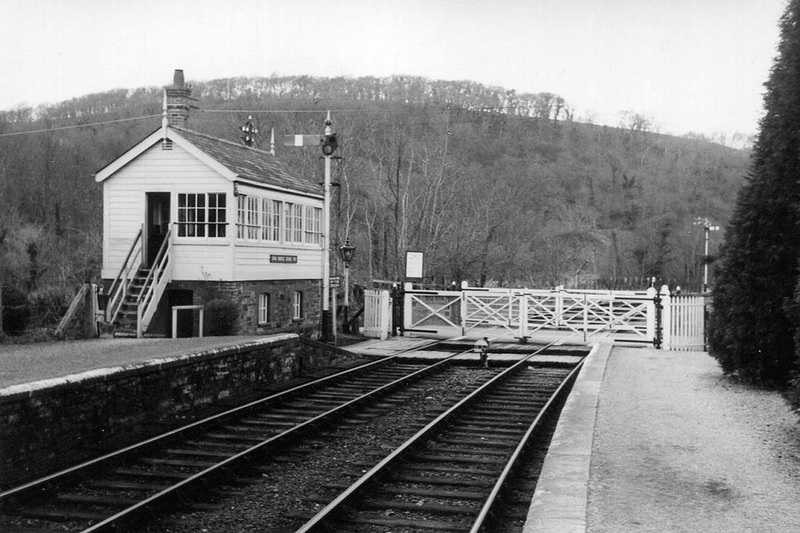 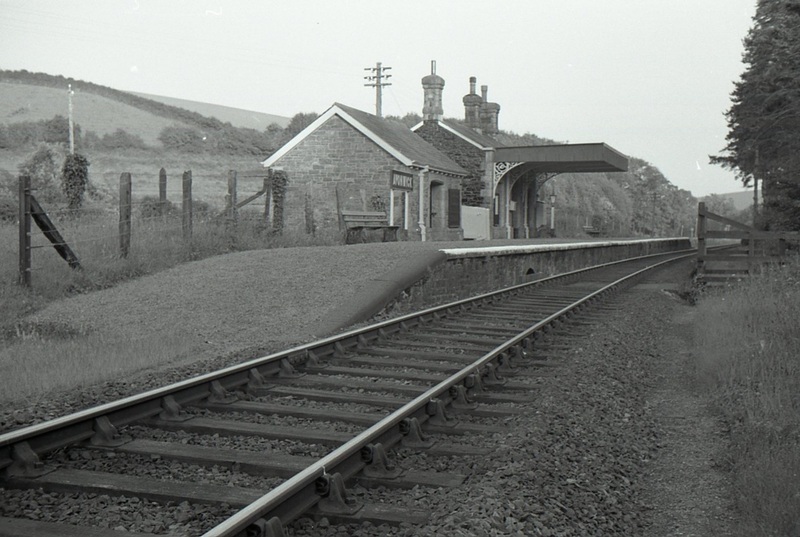 In view of the fact that the last trains ran on the Kingsbridge branch on Saturday 14th September 1963 and that the branch train has been strengthened to three coaches would appear to fix the date. 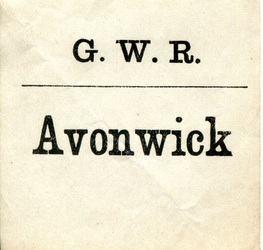 Copyright. 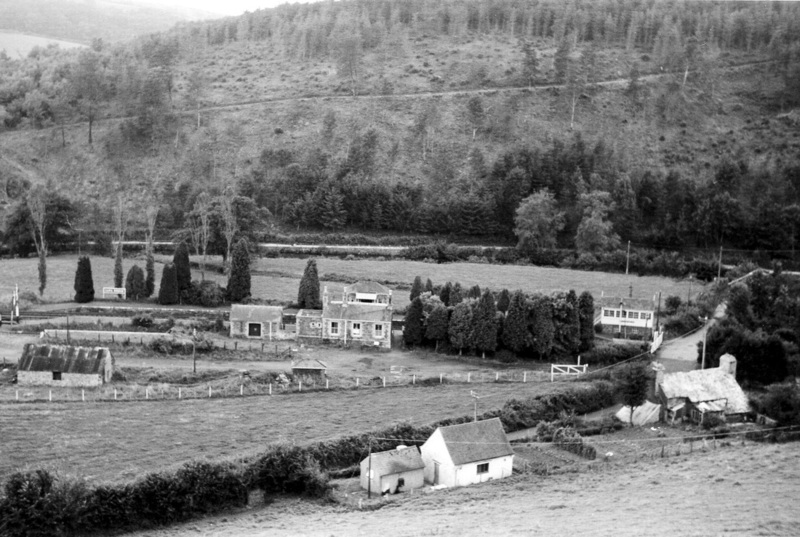 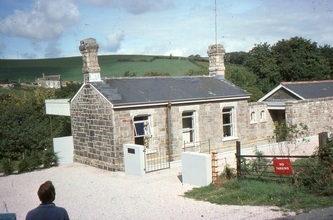 As can be seen, when we arrived on a minibus trip in 1975 we found Avonwick being turned into a very acceptable dwelling. 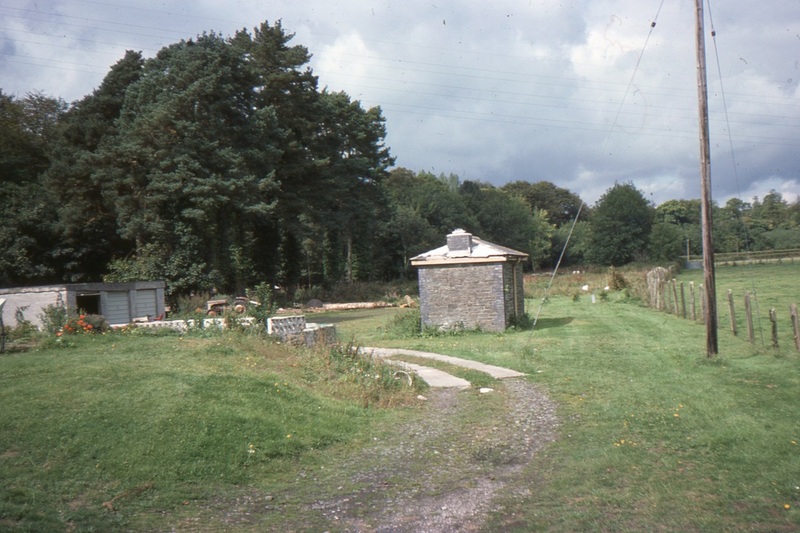 Broadley Farm The picture below is thought to be a former pedestrian crossing at Broadley Farm just outside (south) of Diptford. 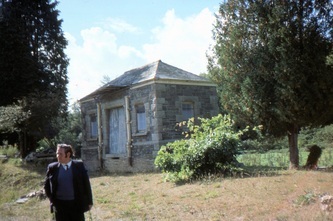 Many thanks for this information from Bob and Beryl Gale. 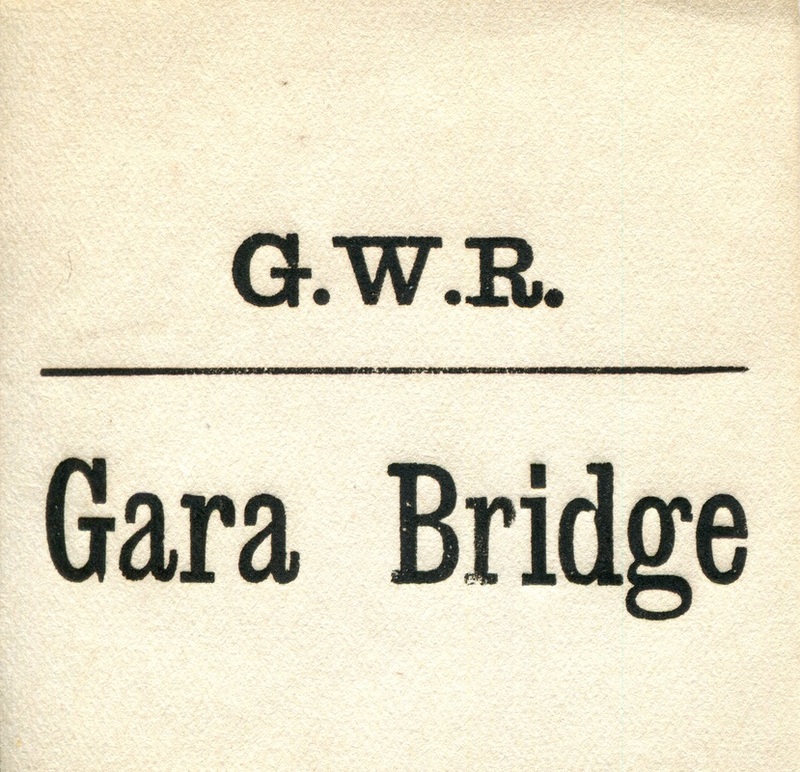 We were not made all that welcome when we crept in through the level crossing gates at the closed Gara Bridge, we explored, took a few pictures (below) then a voice in no uncertain manner told us to 'buzz off'. 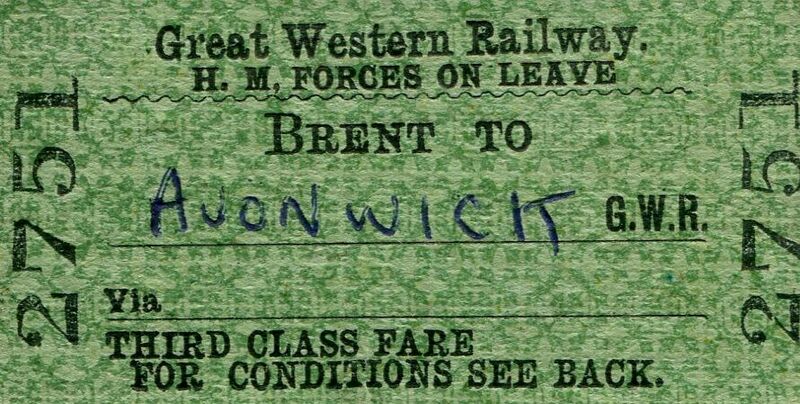 We did, quickly. 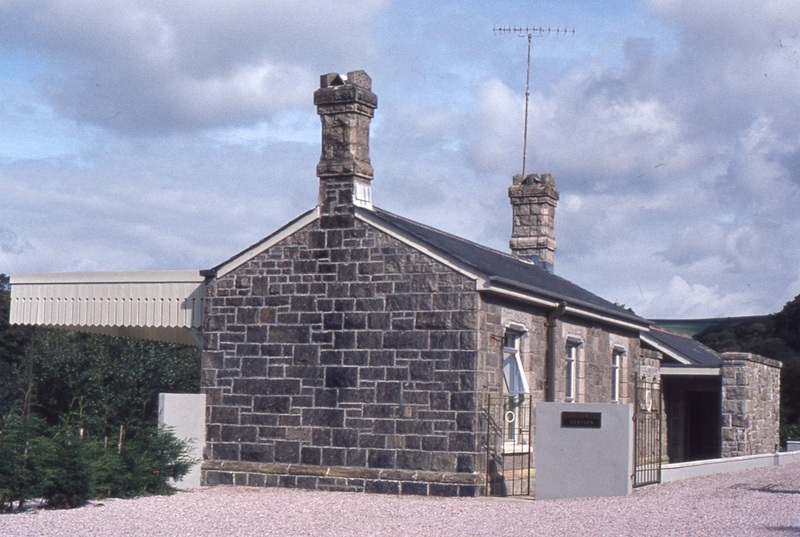 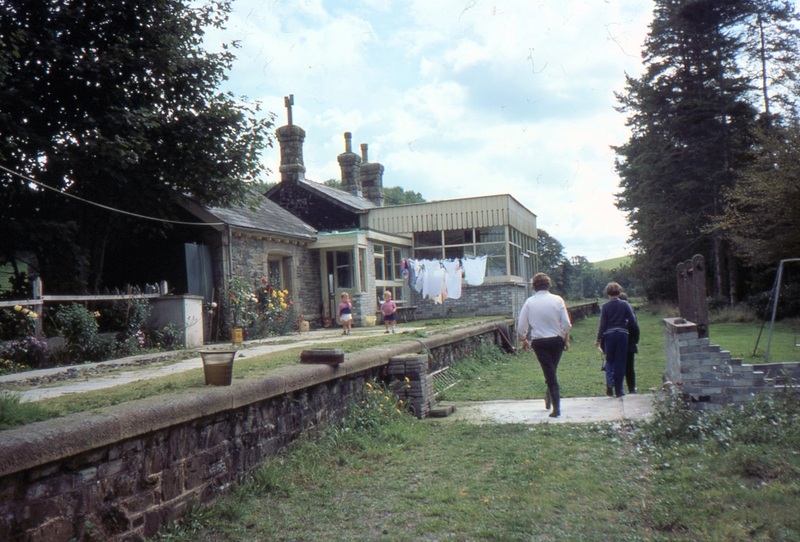 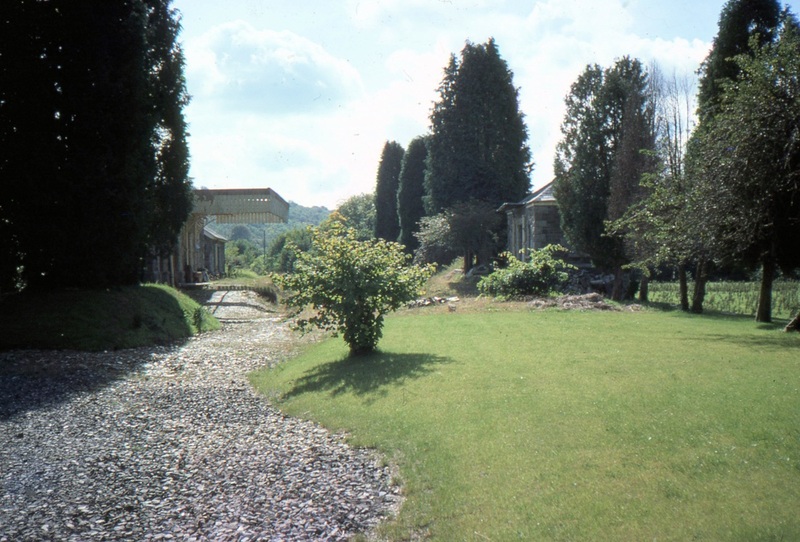 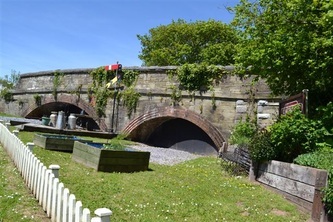 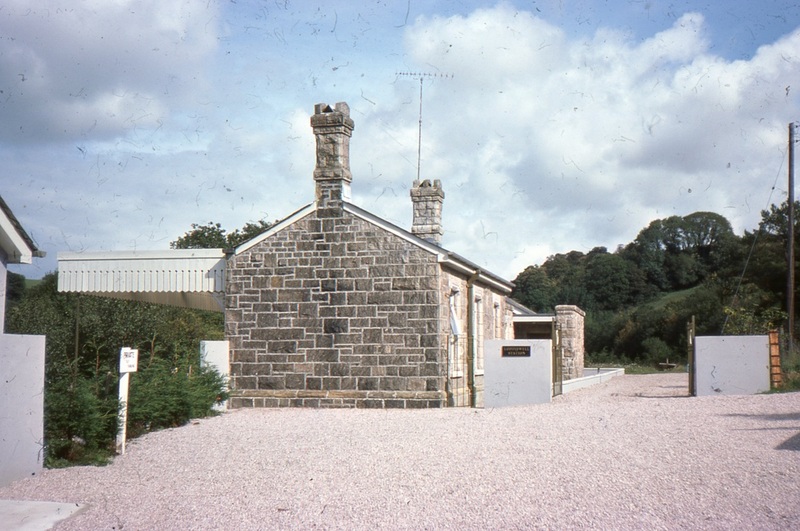 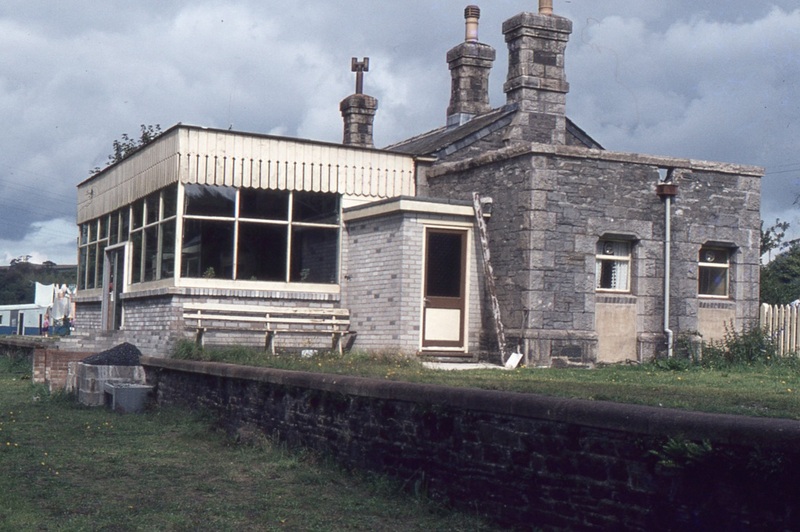 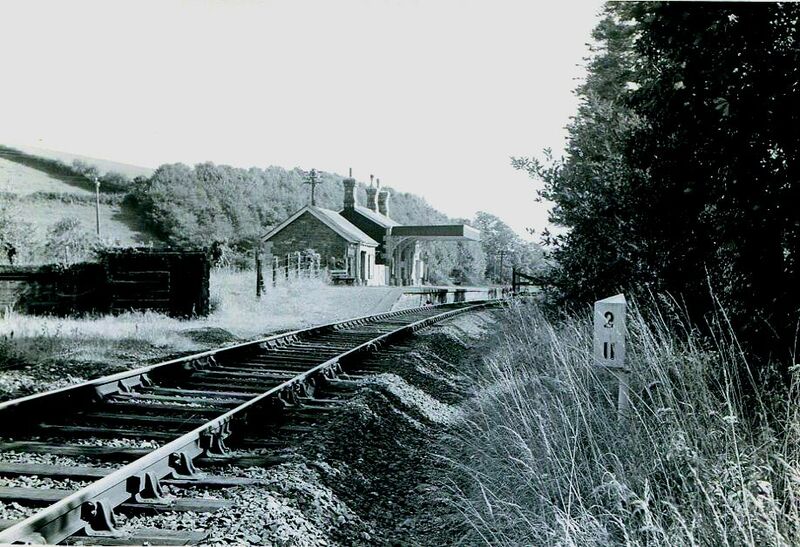 After closure Loddiswell station was bought for conversion to a private dwelling - click here to discover a most interesting article prepared by the Hall family on the restoration. 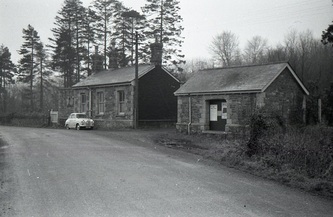 Also check out Aidan Hall's web site Click here www.kingsbridge-branch.co.uk. 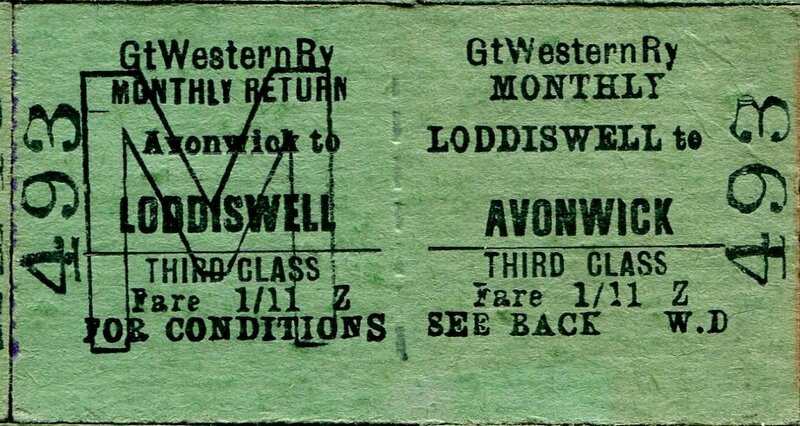 It's August 1963 and a DMU calls at Loddiswell. 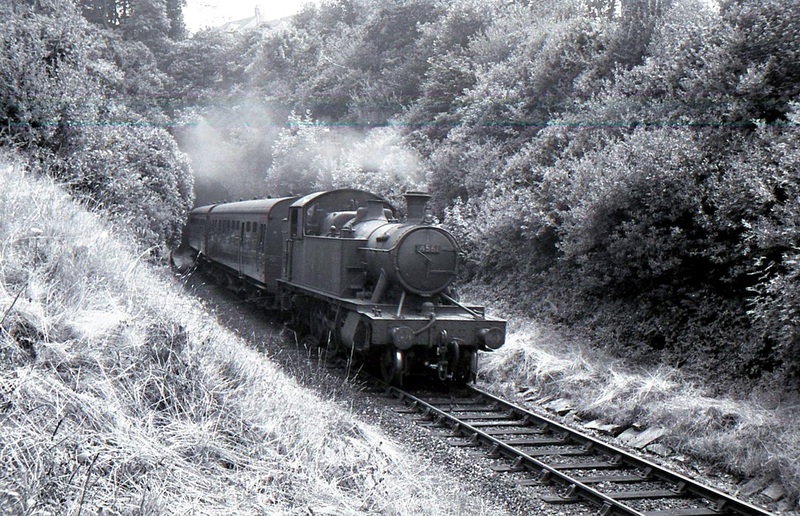 The goods yard looks rather overgrown. 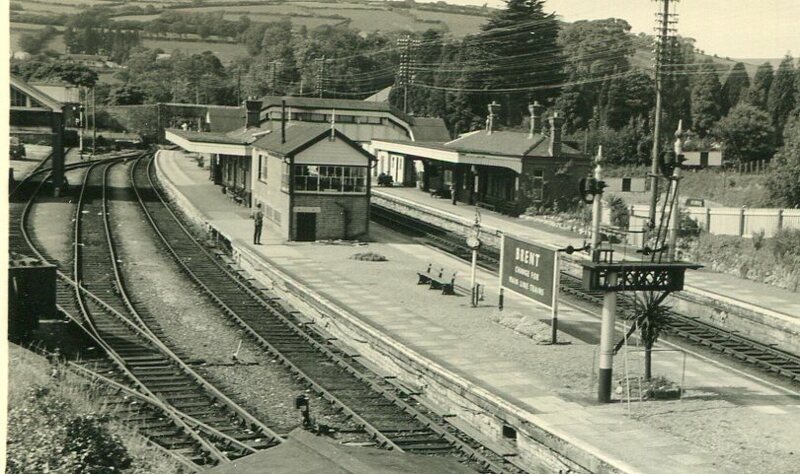 Luckily, thanks to the Hall family this station still exists. This picture taken by Mike Roach. Some loading takes place into a car parked by the station a mother watches the operation keeping her hands on the pram. 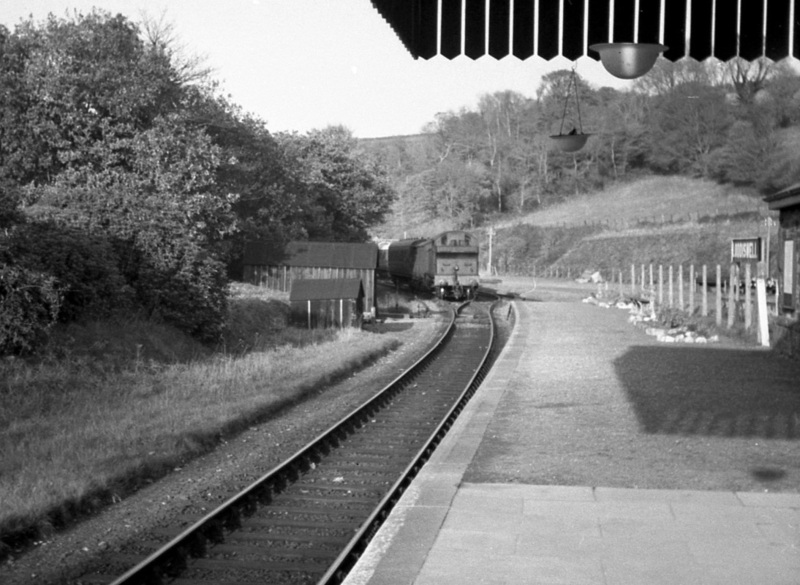 6th November 1959 Copyright Mike Roach. 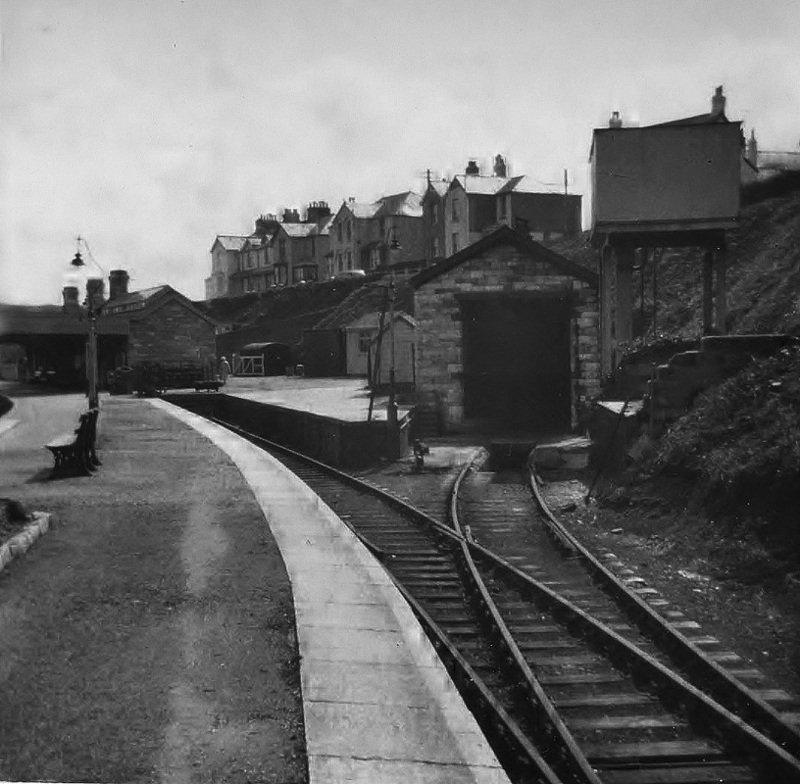 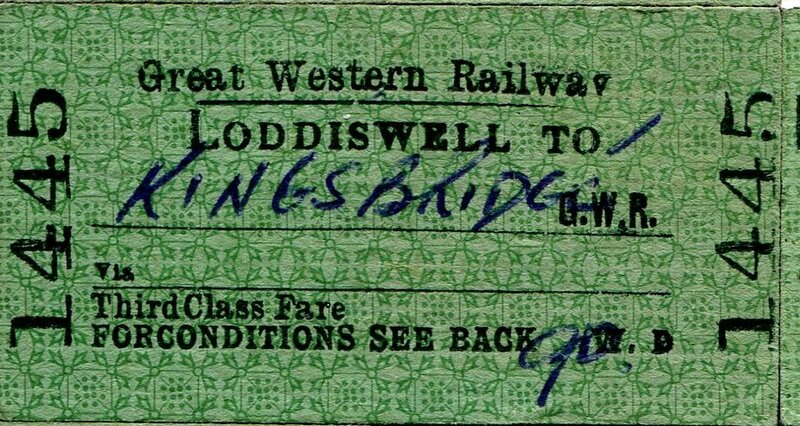 Loddiswell - the train enters from Kingsbridge. 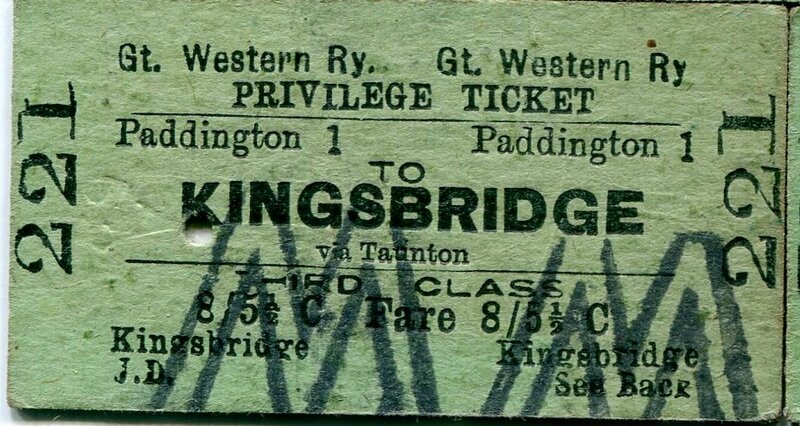 Passengers ready. 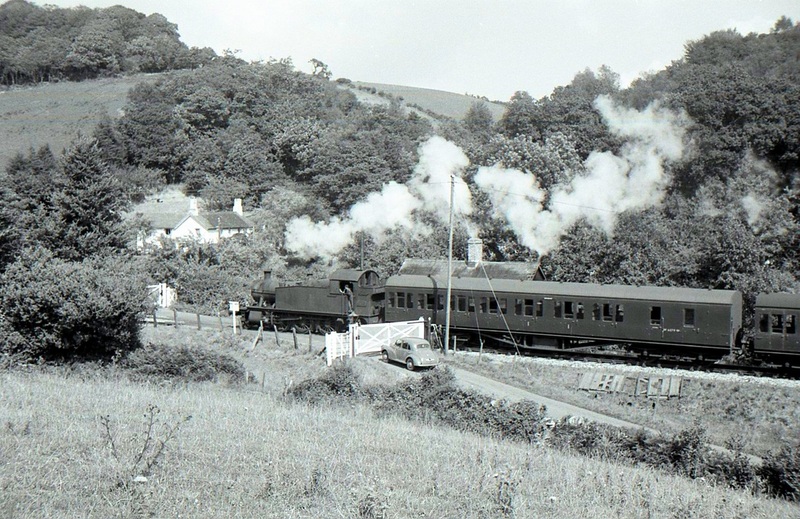 Aug61 Copyright Mike Roach Note the Camping Coach in the bay. 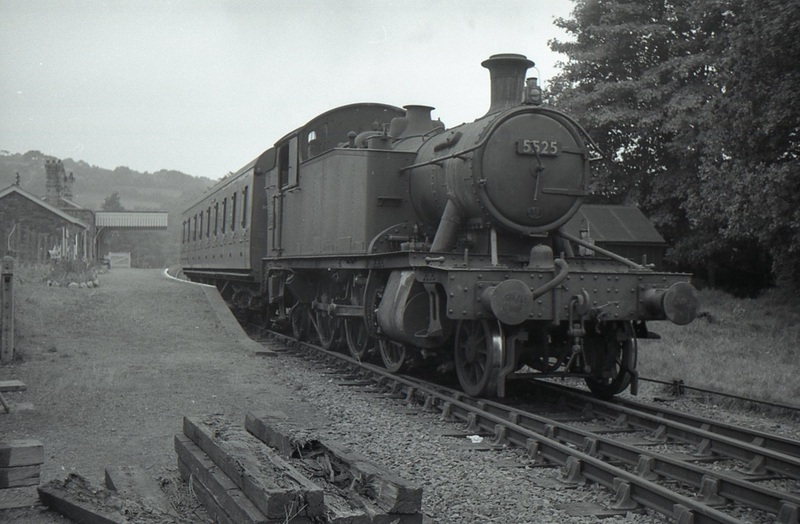 Loddiswell in August 1963. 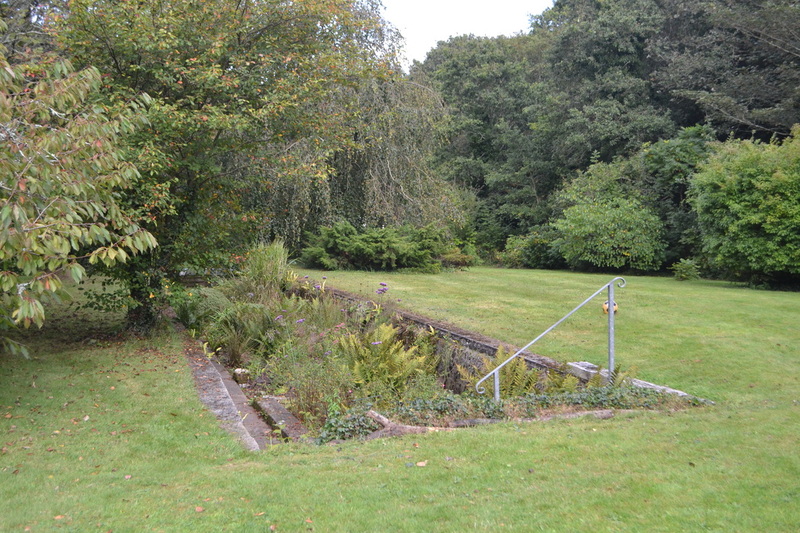 Weeds are starting to encroach on the platform - even a flower has survived at the platform edge. 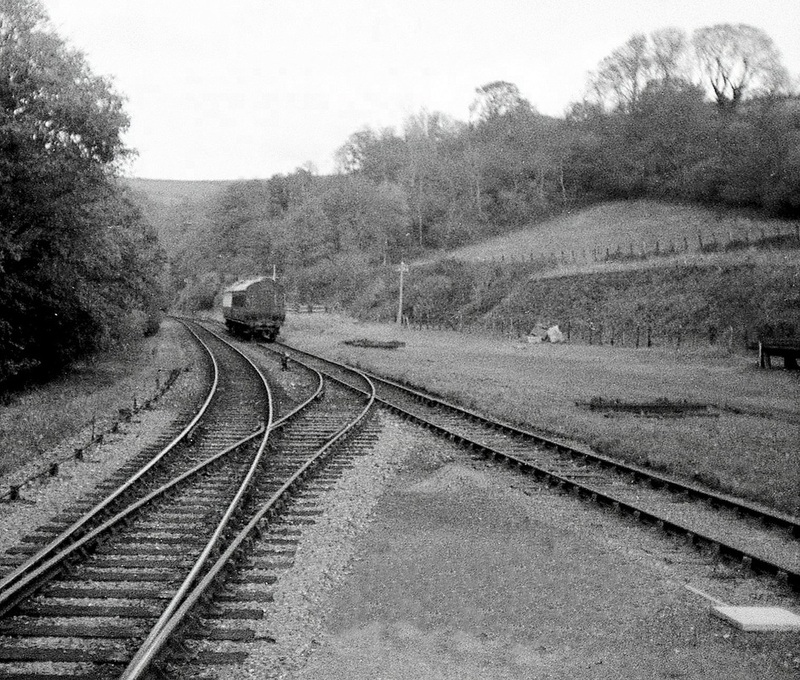 Copyright Mike Roach. 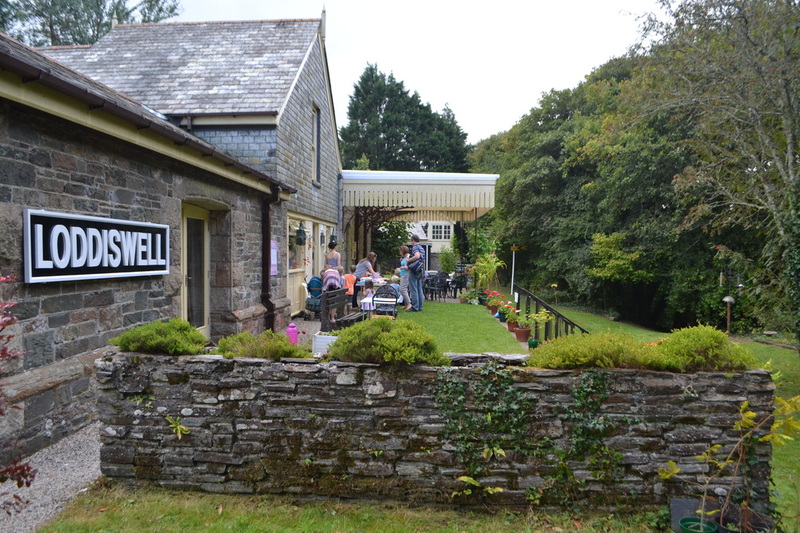 A visit to Loddiswell station on the 20th September 2014. 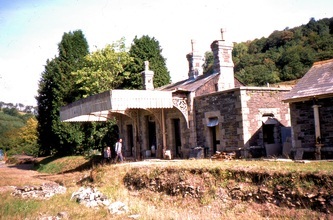 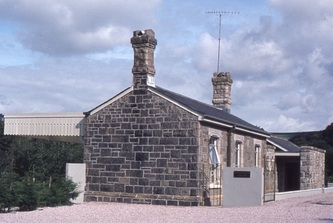 The property is now owned by Richard and Nikki Curzon and a very many thanks is offered to them for allowing our visit and permission to take photographs of their remarkable station. 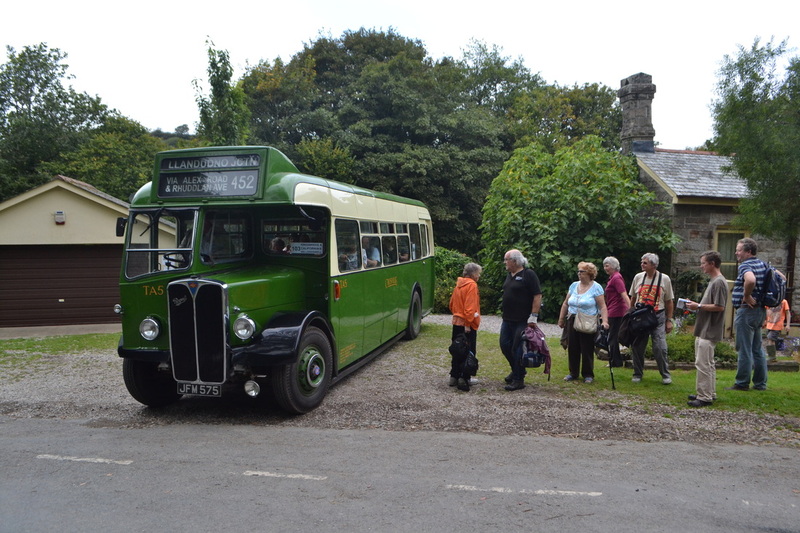 The visit over the party, very much impressed by what they have seen, return to their half cab transport. 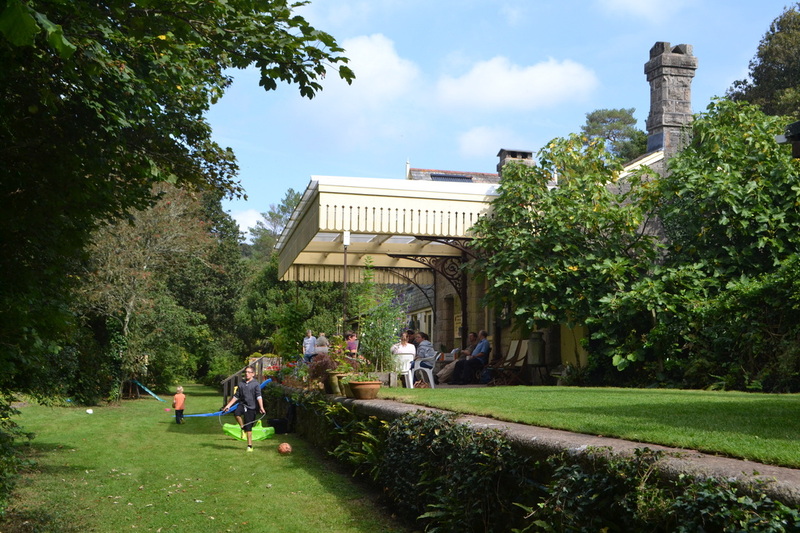 20th September 2014. Copyright Roger Winnen. 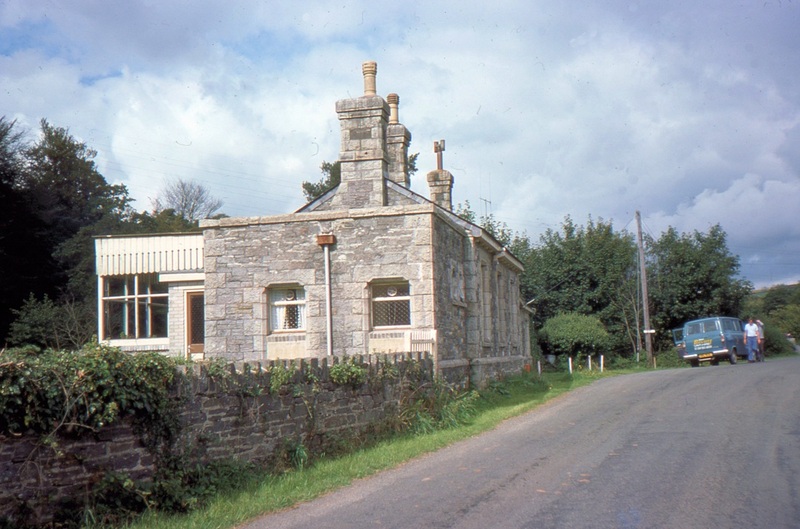 Also, don't forget to take a look at the early days of restoration of this station - a feature prepared by Aidan and Sally Hall make very interesting viewing. 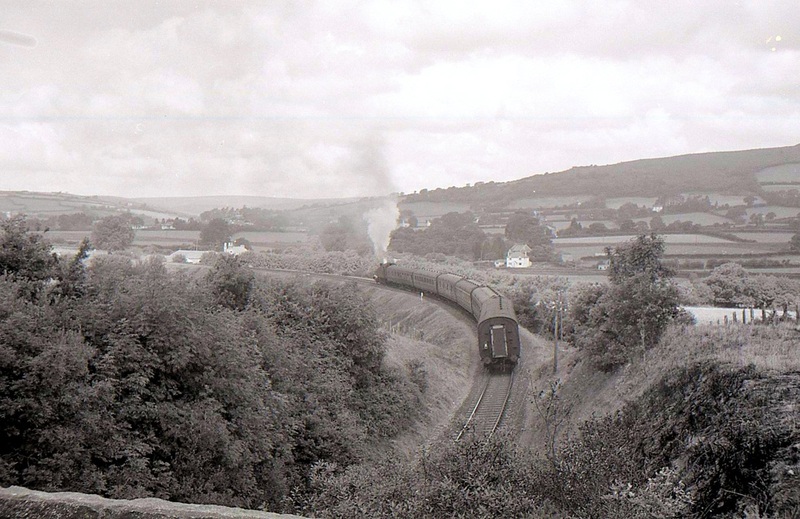 Below, more views taken along this delightful line. 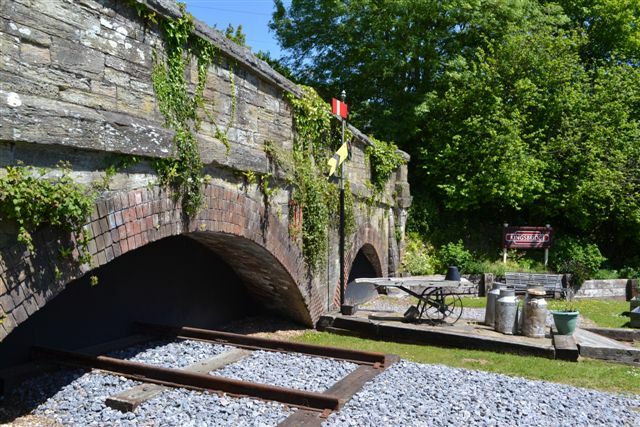 Acting on a 'tip off' our roaming photographer, Roger Winnen, took a trip to Kingsbridge on 1st June 2013 to make a record of a very attractive display set up by the 'Primrose Line Volunteers in memory of the Kingsbridge branch. 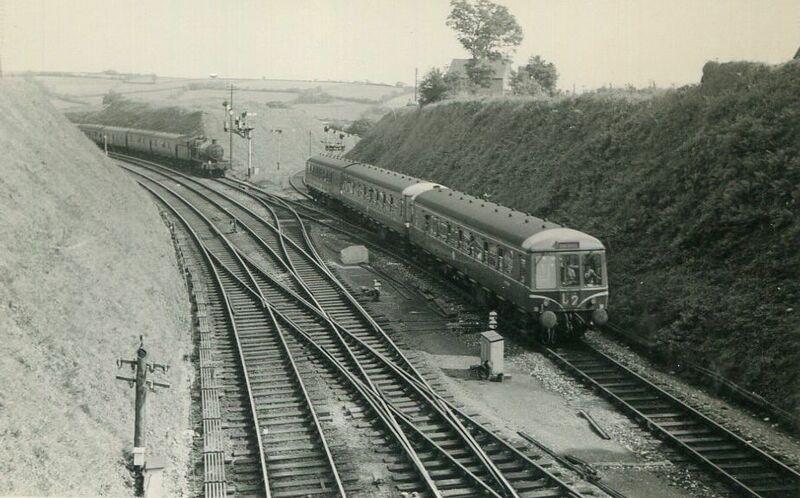 As can be seen the track is not heavy rail, and the signals are not old B.R. 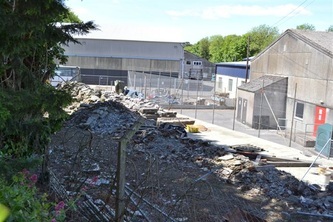 items so one hopes that there is less chance of trophy hunters or vandals visiting the site. 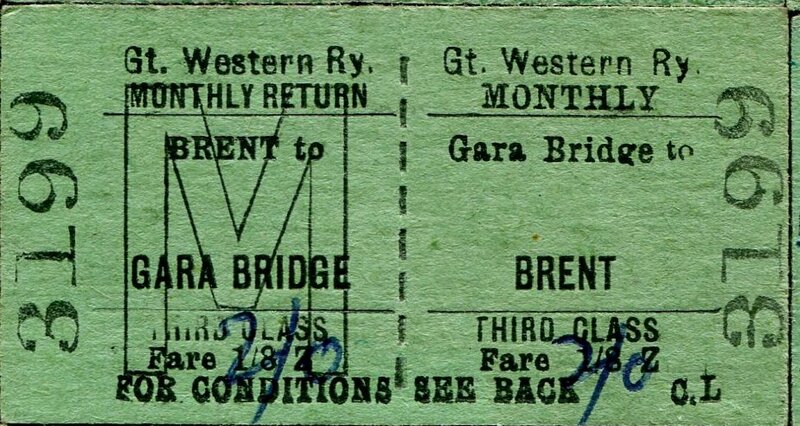 The display is alongside and under the first bridge over the former line out of Kingsbridge towards Brent. 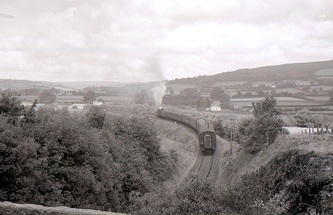 The bridge formerly carried Plymouth Road, the A379. 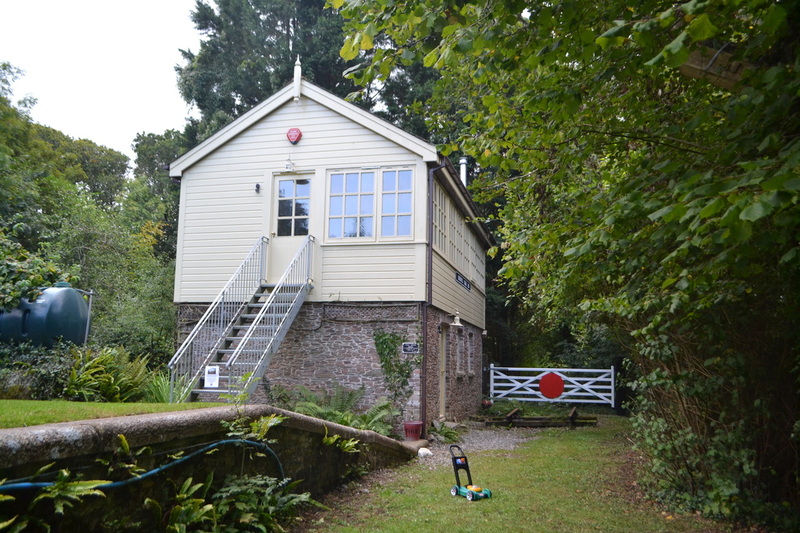 but this has been diverted to pass alongside the narrow road bridge. A good effort, congratulations to those involved. 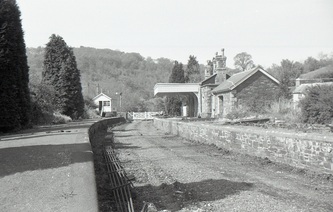 As can be seen by the bottom right of the smaller pictures very little remains of the original station, just a few cut stones.